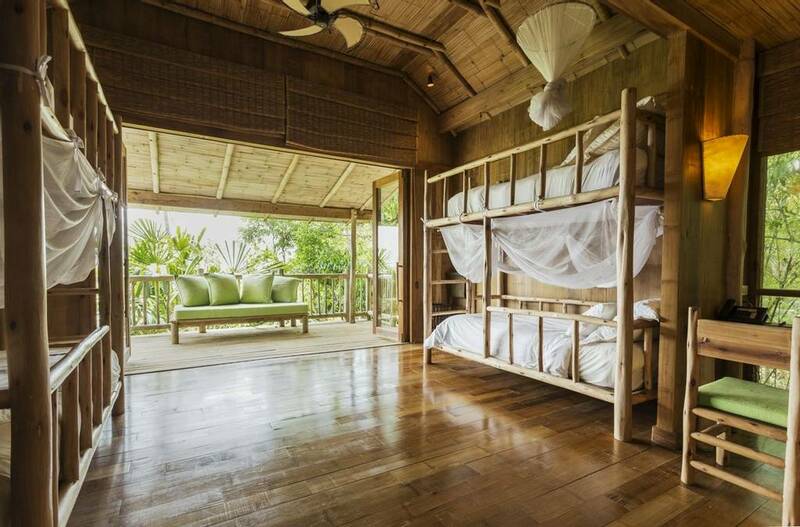 Soneva Kiri boasts a wide range of activities for you and your family to enjoy. Explore an underwater world with turtles and angel fish, embark on a treasure hunt across the island and watch movies under the stars. 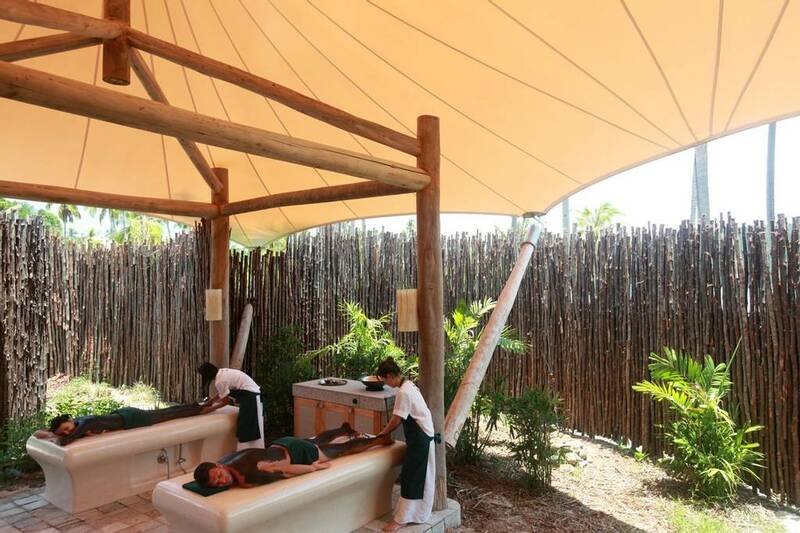 While you’re enjoying a therapeutic treatment at the Six Senses Spa your children can too with massages and beauty treatments created especially for adolescents and those with delicate skin. 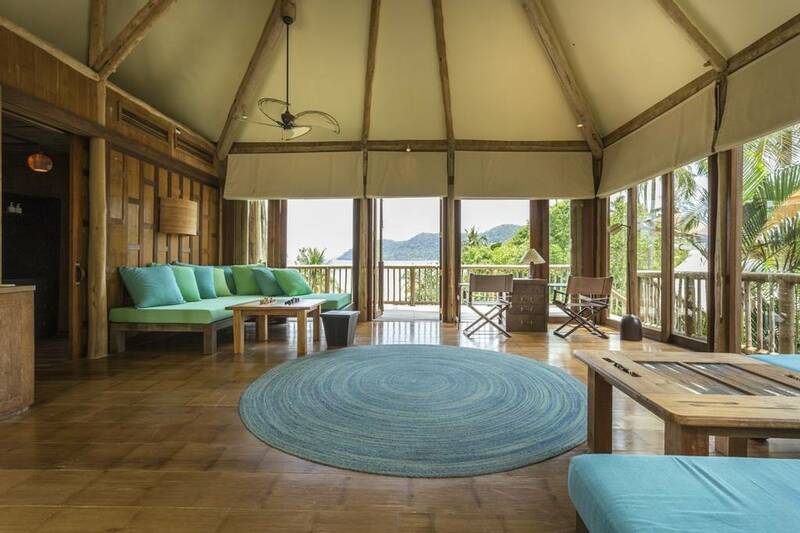 Create lasting memories with group activities including family yoga and meditation sessions designed to leave the whole family feeling happy and reenergised. - Babysitting services are available for children between 6-12 years (subject to an extra charge of THB 600 per hour, per child). 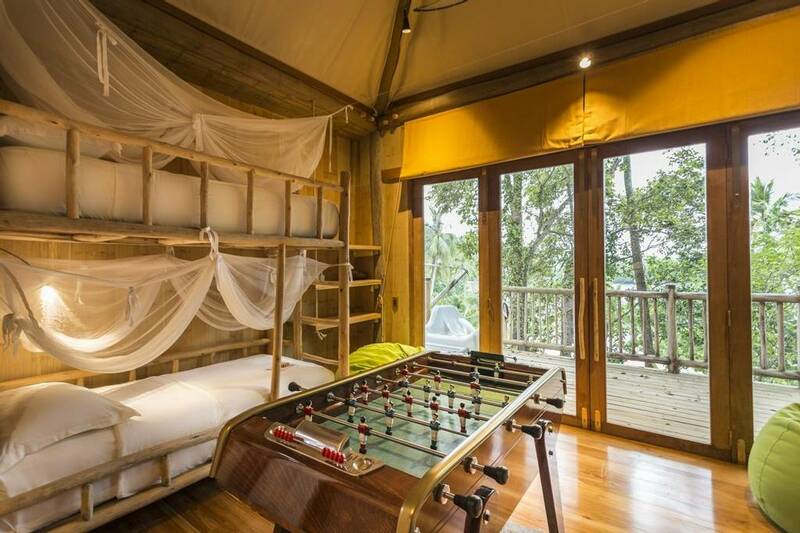 Soneva Kiri offers a range of exciting activities for children of all ages from 12 months to teenagers. The Intrepid Explorers Club is designed for children between 1 and 5 years old and open daily from 10.00 till 18:00 with lunch break between 13:00 -14:00. 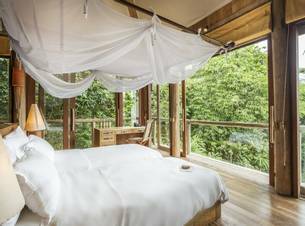 Based in the Eco Den which is fully equipped with a dedicated sleeping area, kitchen and large open-plan play area, children can play and explore under the supervision of qualified and trained personnel. 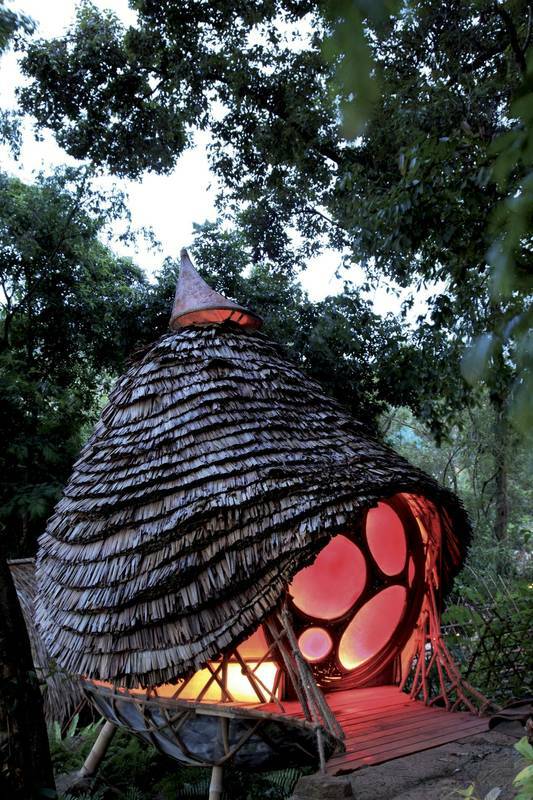 The Den is for 5 to 12 years of age and built like a treehouse in the shape of a giant mantra-ray. 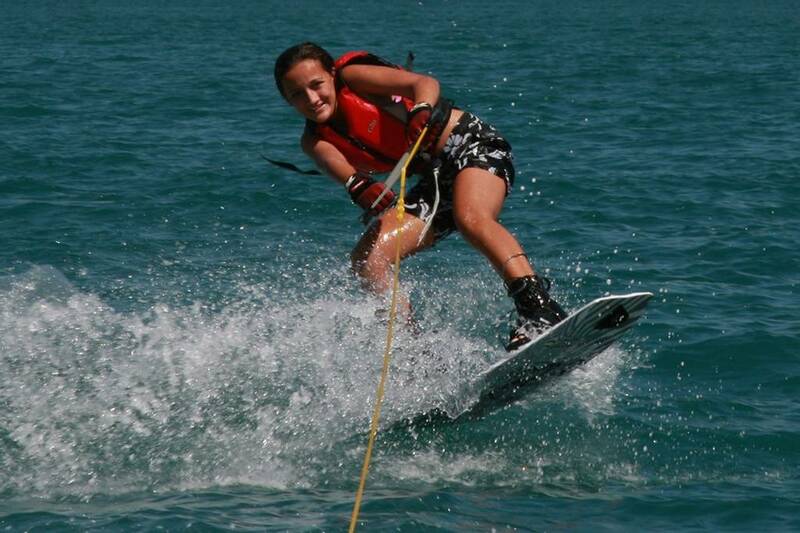 Its focus is to stimulate imagination, creativity, learning and excitement. 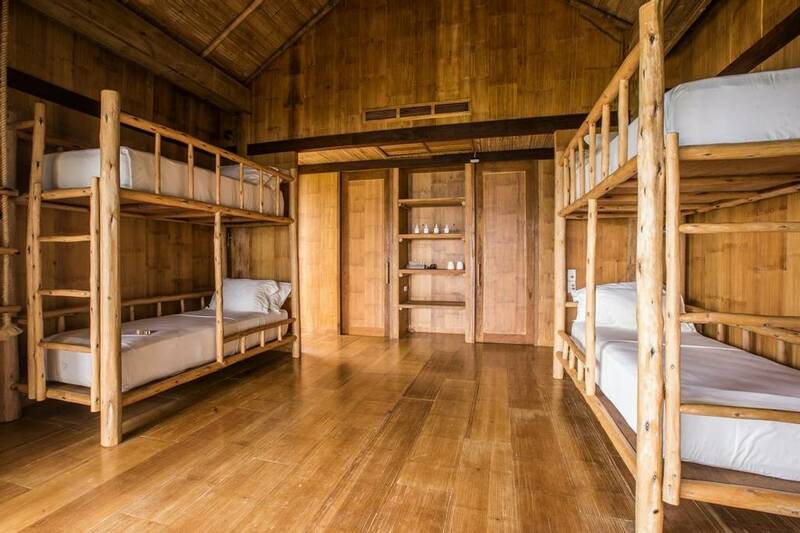 Activities are tailored to suit various age ranges including rainforest walks, visits to the local school, water activities, chocolate making and an outdoor cinema. 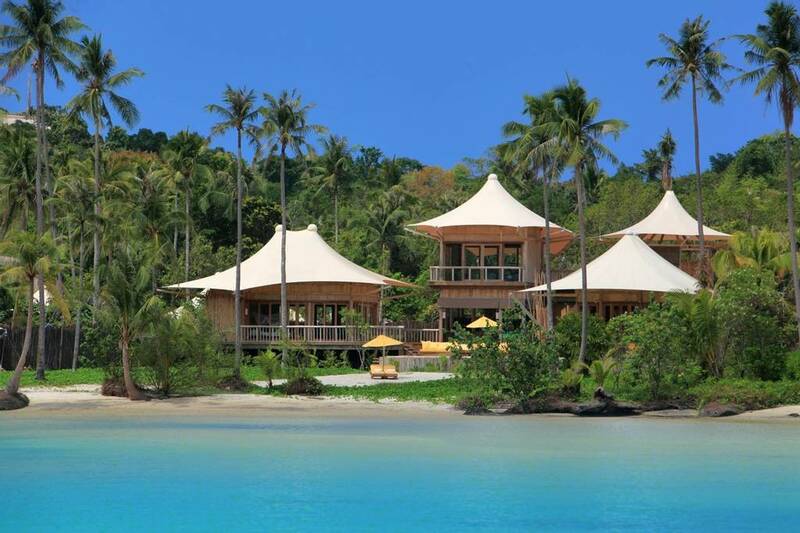 Nestled on the northern coast of Koh Kood amongst palm fringed hills and a secluded bay Soneva Kiri offers a truly luxurious wellness experience. 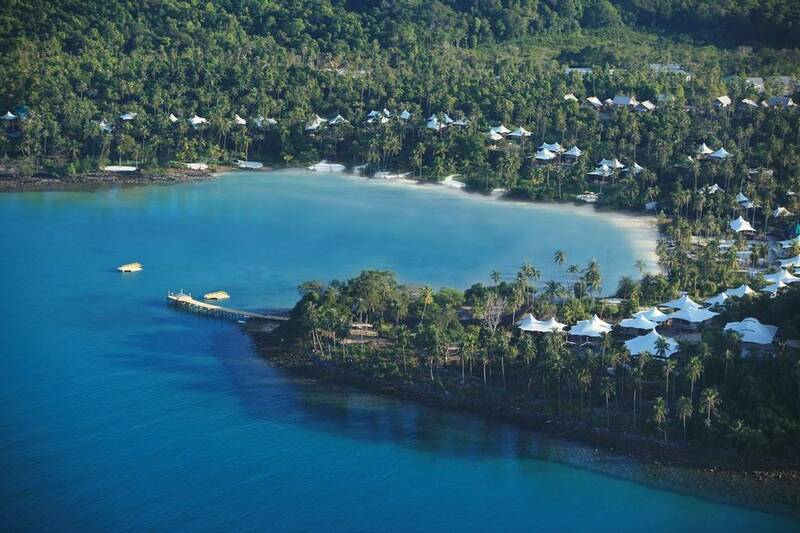 Surrounded by lush vegetation and only a stone’s throw from a pristine white beach it is the perfect destination for those seeking a relaxing wellness break. 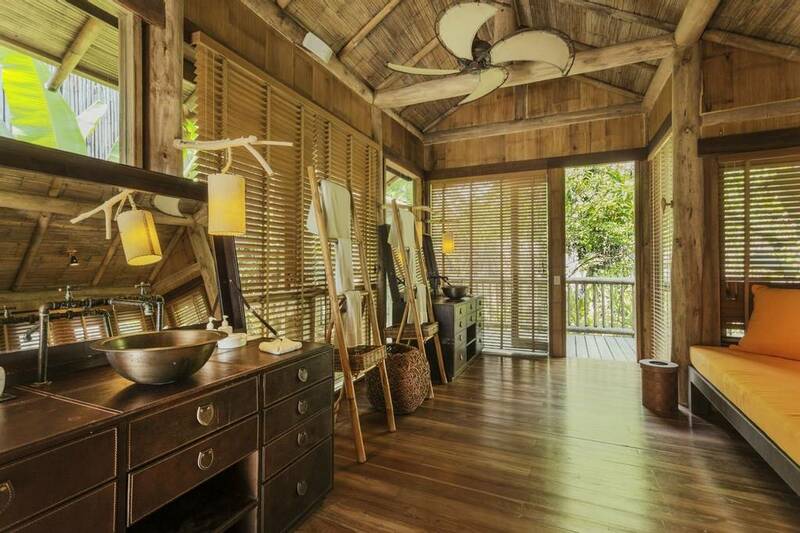 With a dedicated Six Senses spa offering specialist treatments and a wide range of activities available a stay at this stunning hotel will leave you with enhanced health and vitality. 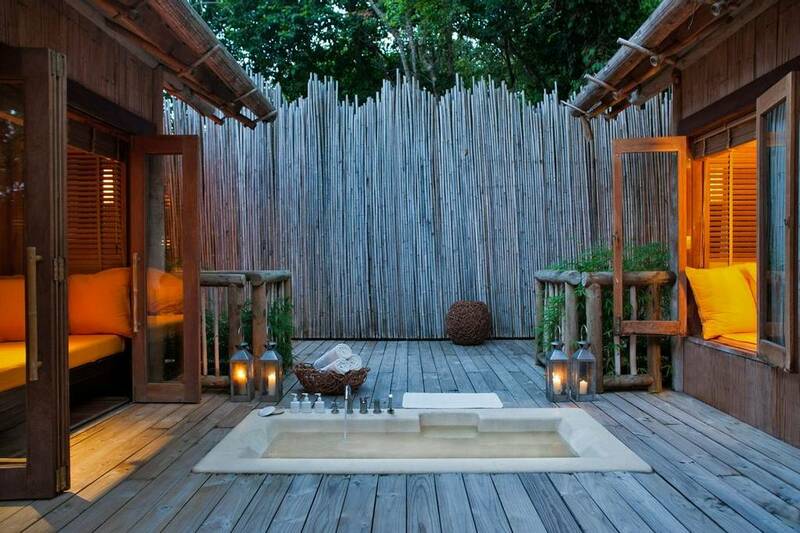 At Soneva Kiri there is a culinary option to suit even the most discerning of palates. 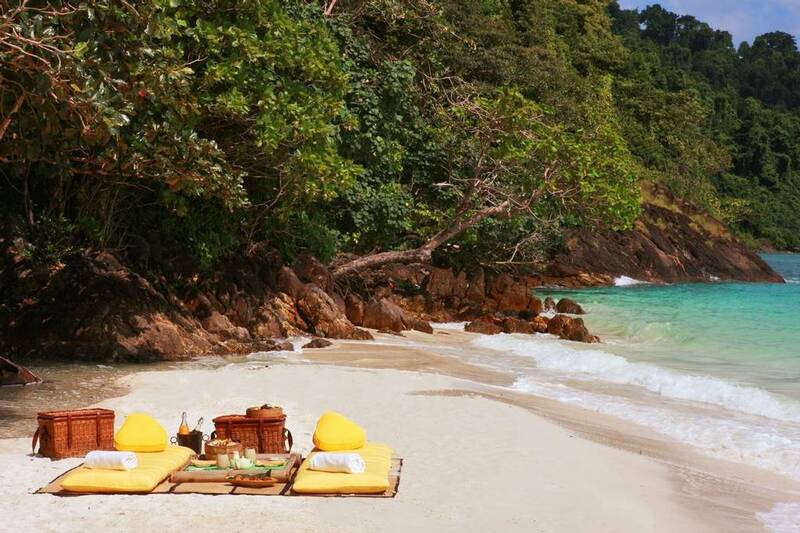 Enjoy authentic Thai and Mediterranean classics in the Dining Room, freshly made ice creams and sorbets at So Spirited or treat yourself to a delicious nine course meal at Benz’s for an extraordinary gastronomic adventure. 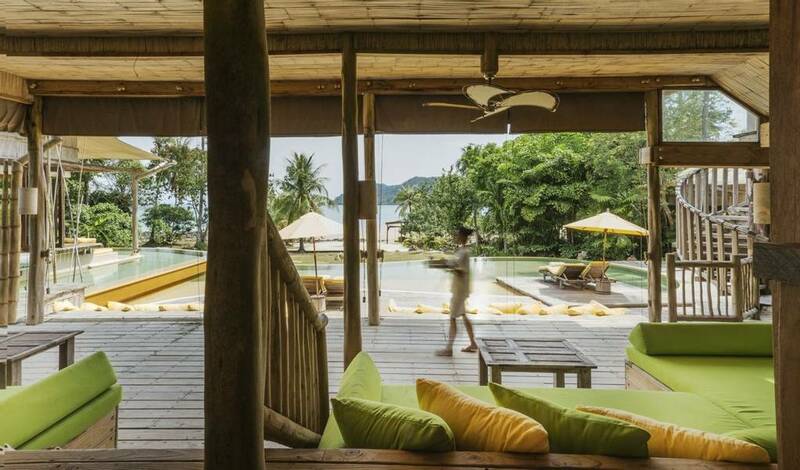 Nestled amongst towering tree trunks on rocky cliffs this rustic eatery serves up nutritious Thai and Mediterranean fare. Enjoy freshly prepared meals cooked in a wood-fired rock oven and authentic Indian Tandoor. 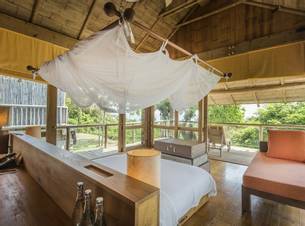 Suspended six metres above ground level and boasting spectacular views of the coastline and rainforest Treepod Dining is a firm favourite amongst visitors. 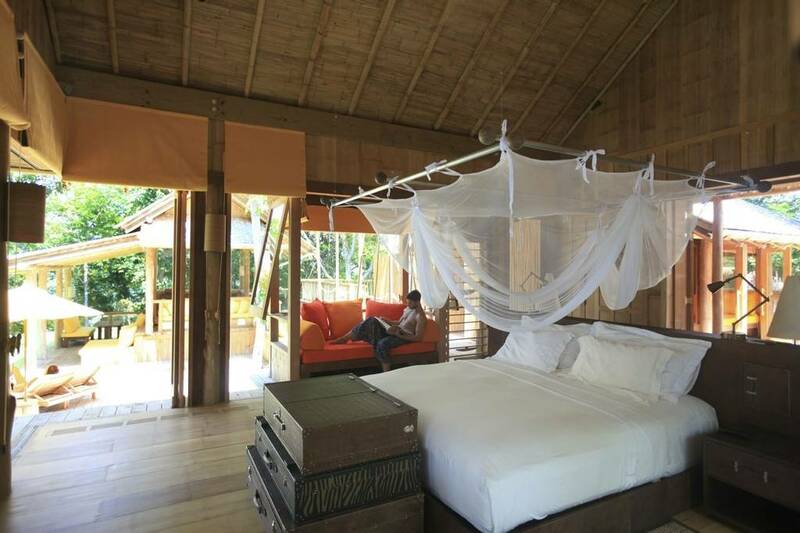 Waiters deliver food to your individual pod via zip line for a truly unique eating experience. 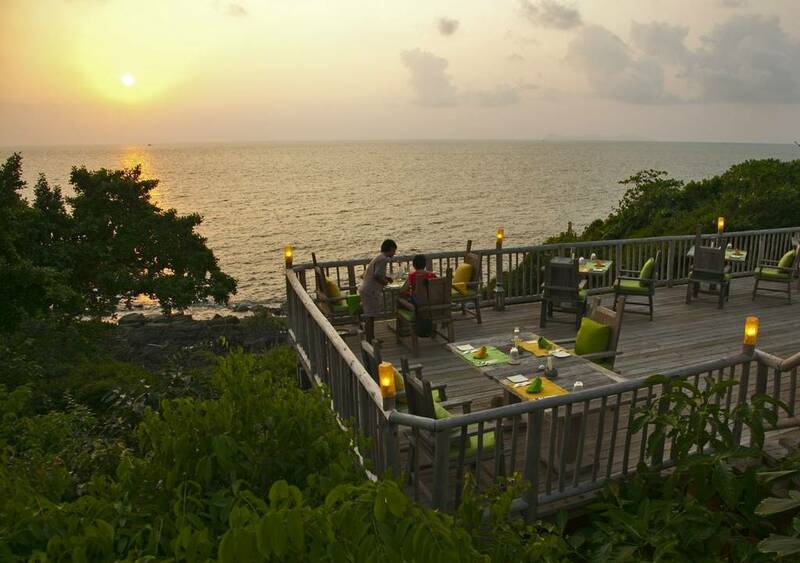 Enjoy a sumptuous nine course meal at this open-air lantern lit eatery which was built using recycled materials. With a menu that changes nightly a couple of favourites include crispy sweetcorn in chill sauce and wok seared prawns in black pepper. 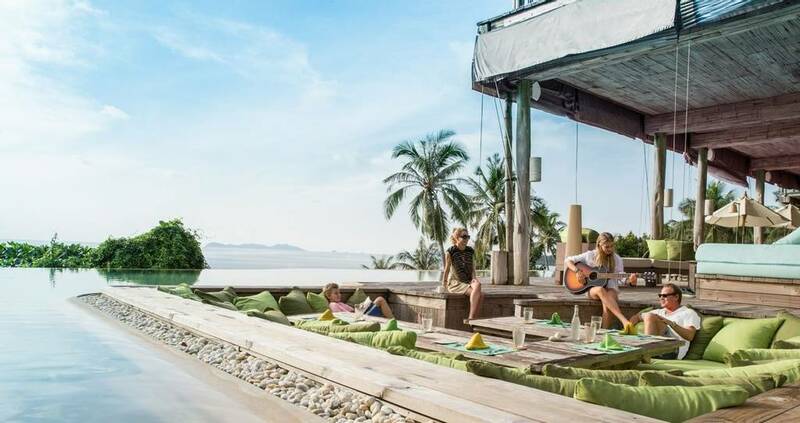 A poolside bar overlooking the sea So Spirited offer delicious bespoke cocktails which are best enjoyed from the comfort of one of the sun loungers or day beds. This outdoor ice cream parlour offers delicious homemade ice creams and sorbets but be warned; with over sixty ever-changing varieties you might be spoilt for choice! A chocolate lover’s dream So Chocoholic offers freshly made passion fruit, honey and salted caramel infused truffles alongside warm pots of creamy mousse and rich fondue. Sample modern bistro dining made using the freshest ingredients and a variety of different cooking techniques. 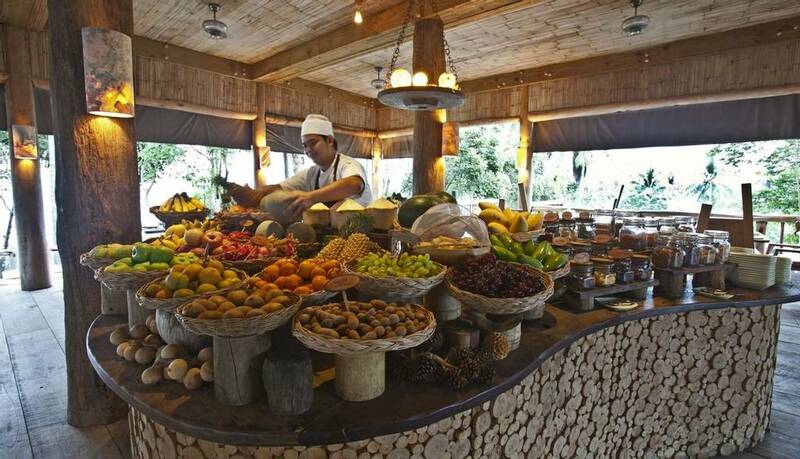 The menu is changed every other day to incorporate only the freshest produce from the local markets. 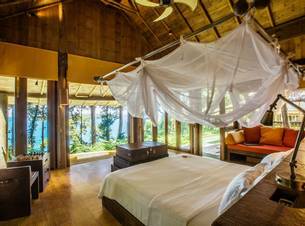 Hidden amongst the island’s wild rainforest the Six Senses Spa at Soneva Kiri offers an exhaustive list of wellness therapies and treatments delivered by highly skilled therapists. 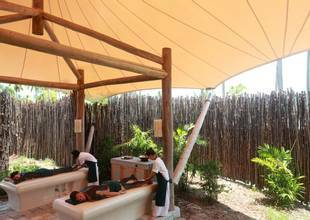 Many of the treatments on offer take inspiration from local practices which help make for a authentic wellness experience. 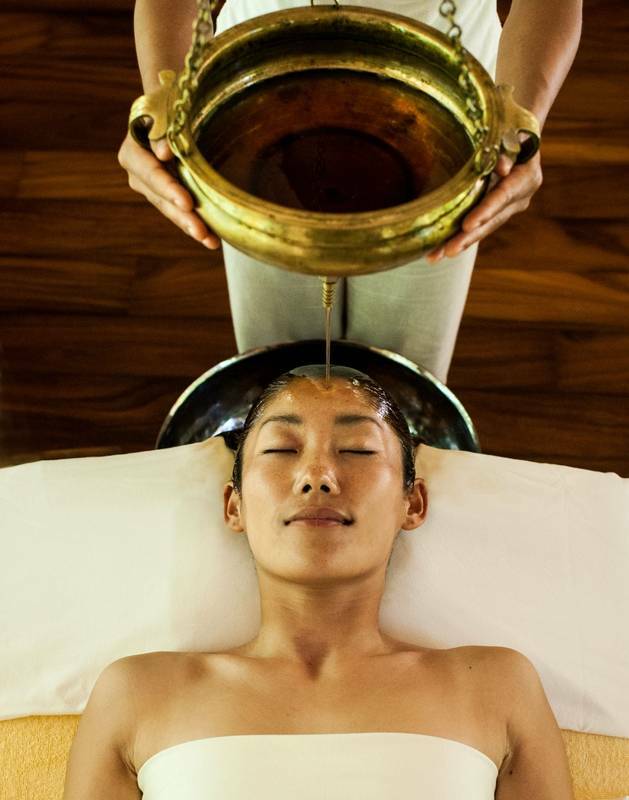 From revitalising facials, signature massages and rejuvenating body scrubs to mention just a sample of what’s on offer there is an indulgent therapy to suit everyone. 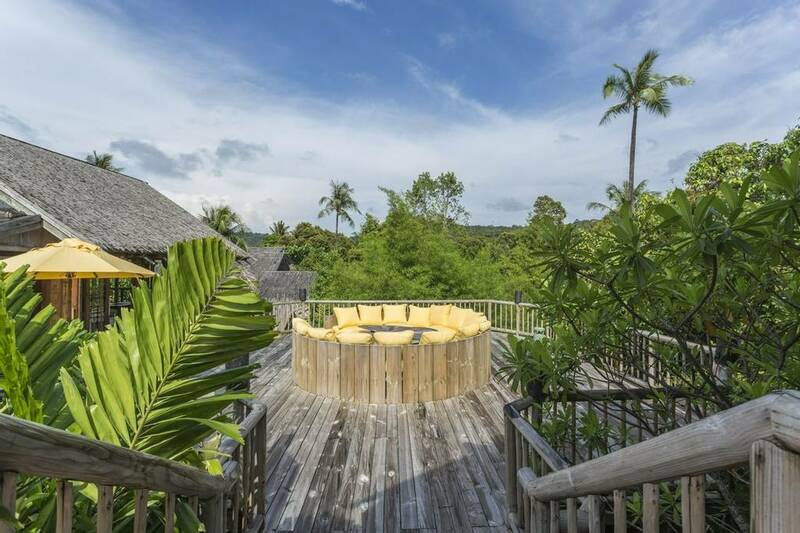 Soneva Kiri’s wellness approach is best summed up by the acronym Slow Life (Sustainable Local Organic Wellness Learning Inspiring Fun Experiences) which the hotel’s philosophy is based on. 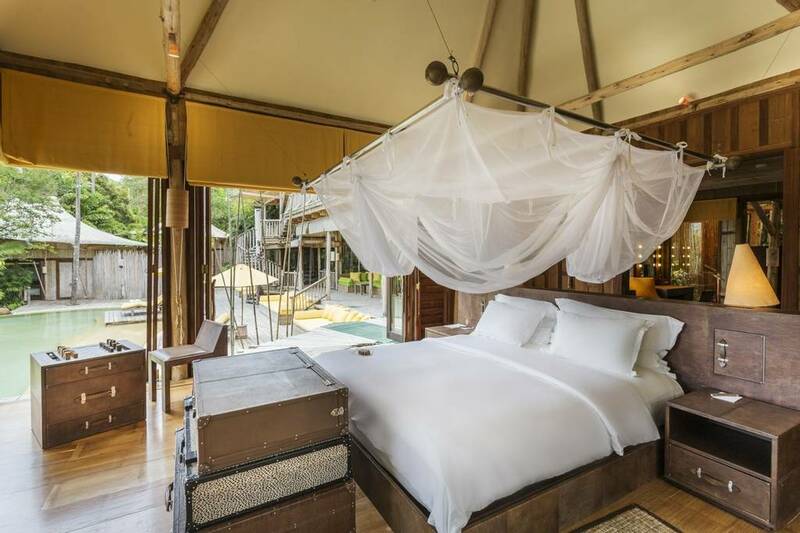 They strive towards responsible tourism and seek to reduce their carbon emissions whenever possible through recycling waste, using sustainable materials, conserving water and buying produce from local farmers and fishermen. 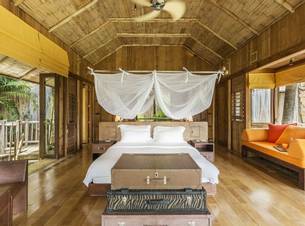 In keeping with Soneva Kiri’s environmentally conscious approach all of the 36 villas are built from locally sourced sustainable timber. 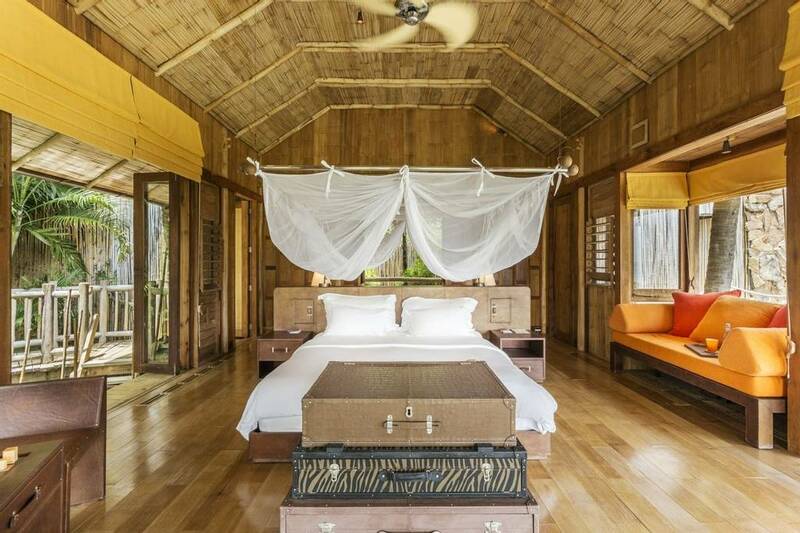 Furnished in a chic style these luxury villas are designed to blend in with the landscape and provide a rustic, back to nature experience. 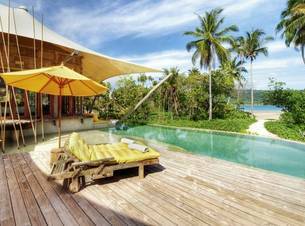 Well-appointed throughout each villa includes a spacious free form swimming pool and a personal butler. 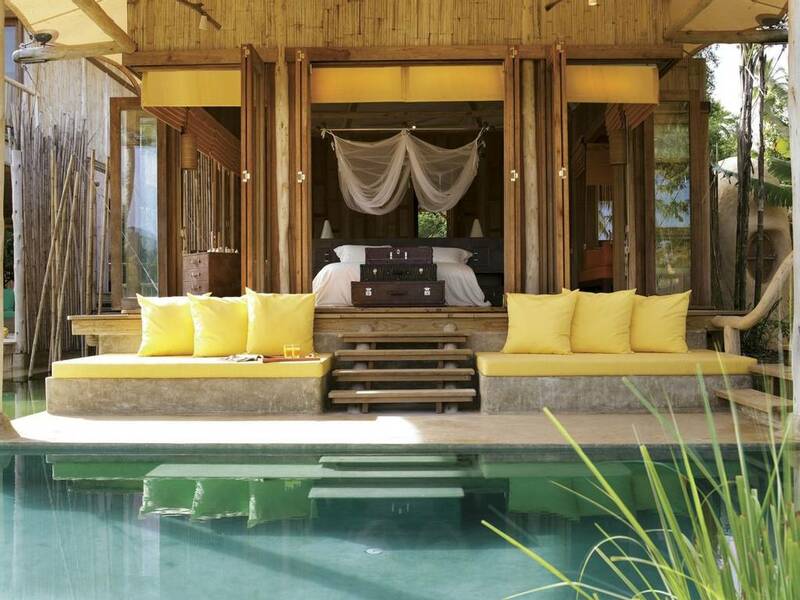 Recline on a cushioned day bed in your own hillside retreat. 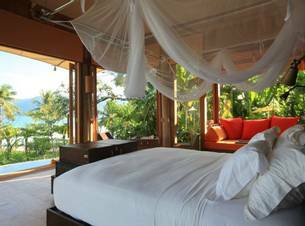 These suites feature a forest-facing master bedroom, walk in dressing room and a spacious swimming pool overlooking the sea. 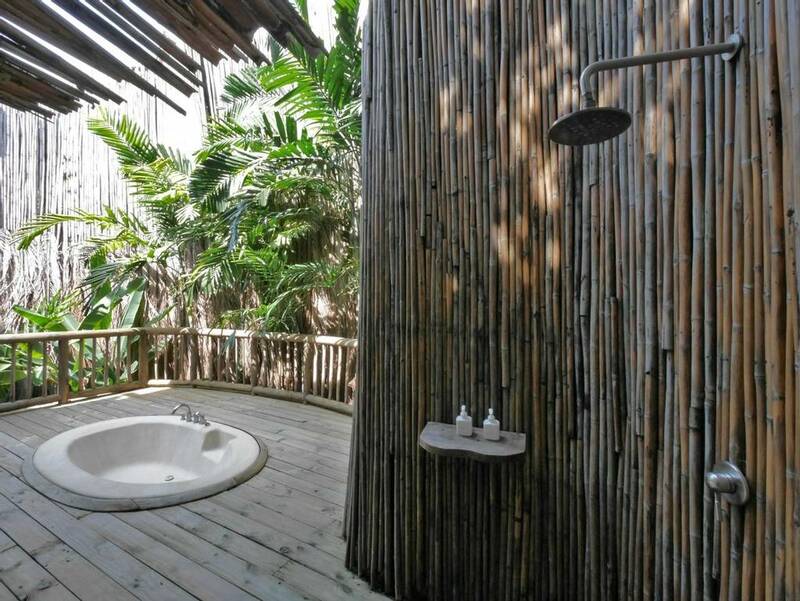 Shower by starlight in your secluded outdoor bathroom in this cliff side villa. 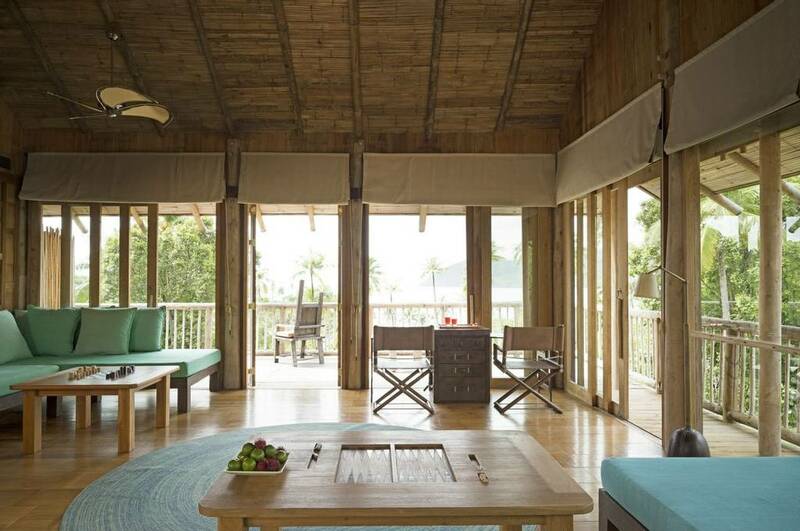 The suite also includes a large decking area, separate living room and sea facing master bedroom. 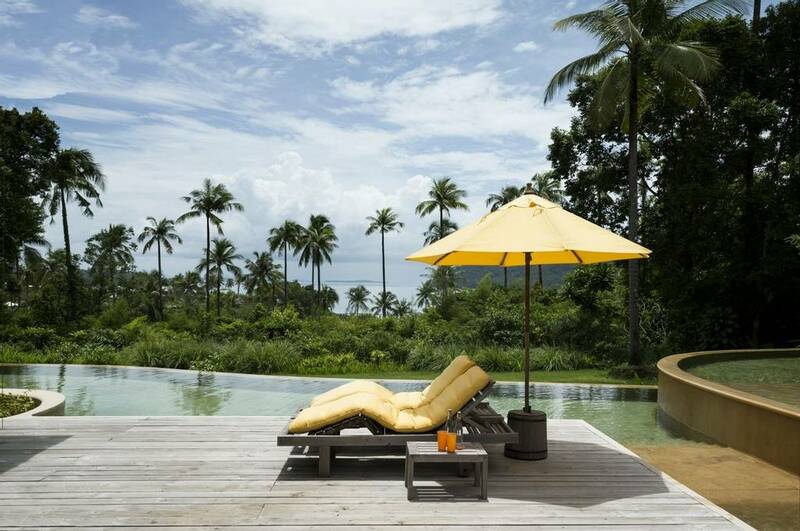 Let the blue ocean views lull you into the blissful pace of the Thai island’s tranquil living. 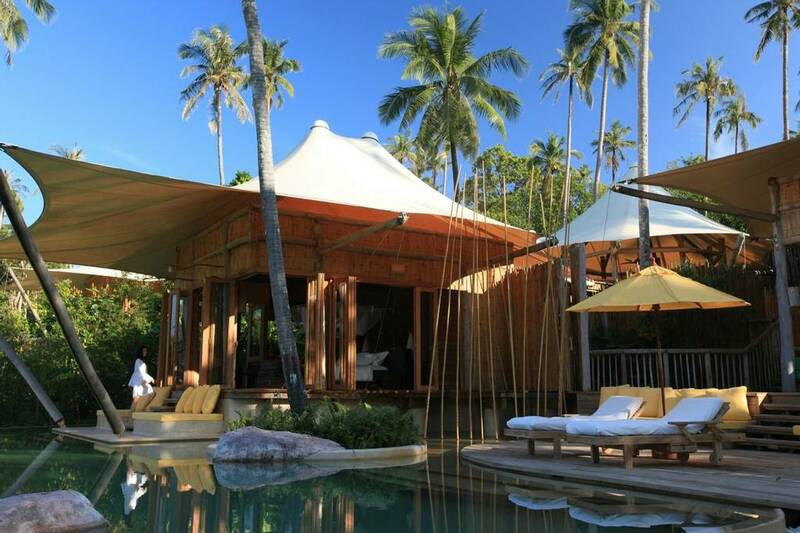 Sink into one of the shaded cushioned day beds and sun loungers around your private freeform swimming pool and beachside gardens. 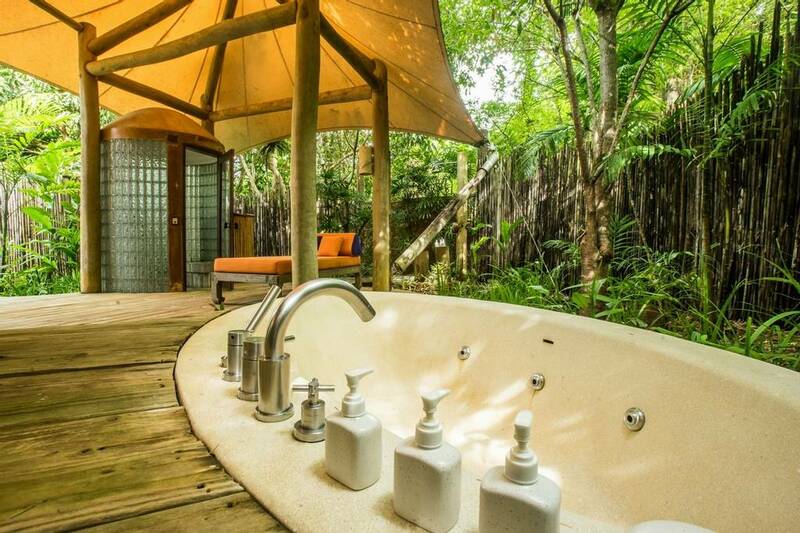 Bathe and shower by starlight in your outdoor bathroom – a jungle hideaway of elephant ear palms and other lush green drapings. 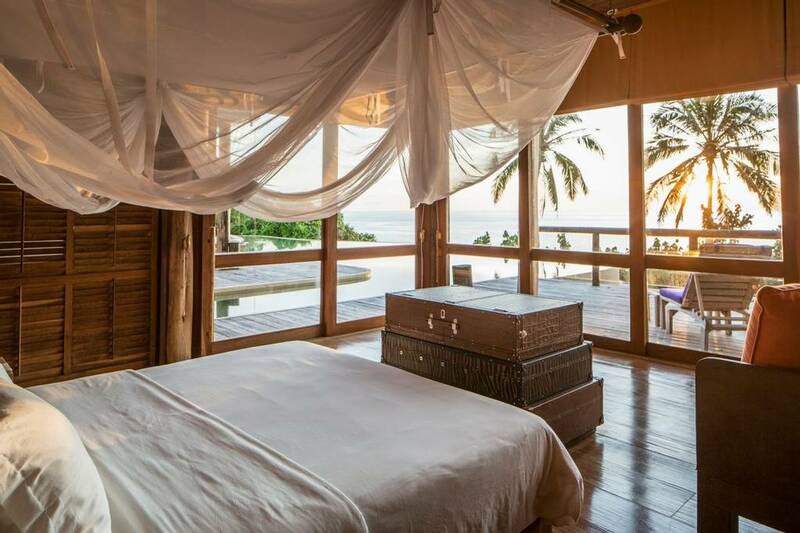 Then slip between the organic cotton sheets on the pillow-topped king-sized bed of your sea-facing luxury master bedroom. 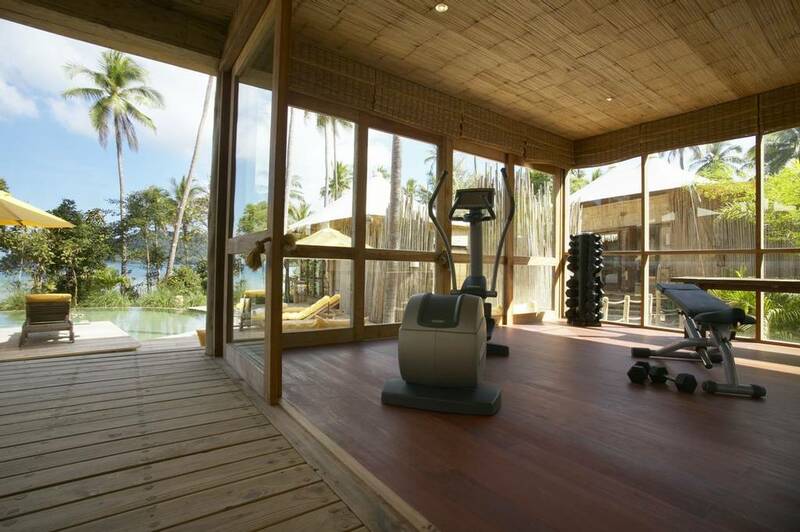 Keep fit in your own personal gym or enjoy an indulgent outdoor treatment on the spa decking. 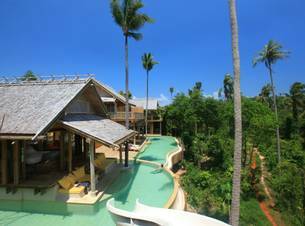 With sea facing master bedroom, open air bathroom and steam room this luxurious villa offers a truly relaxing stay. 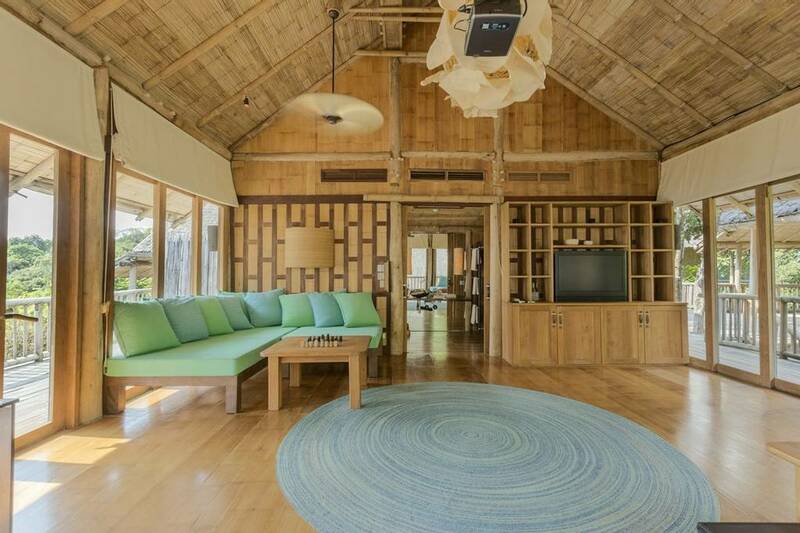 Inspired by our love of sun, sea and spa, your 2-Bedroom Junior Beach Pool Retreat is a spacious multi-level castle in sustainable timber. 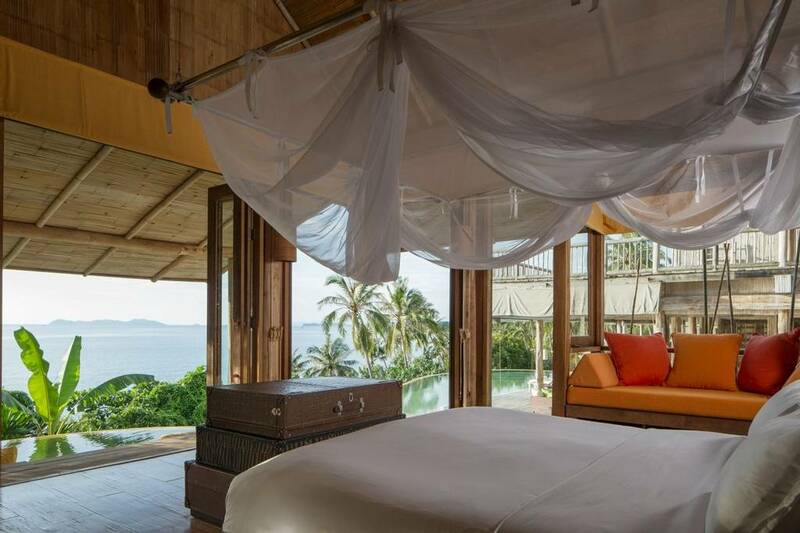 Four towering pavilions topped by elegantly tapering white rooftops connect to each other via expanses of sundecks, boardwalks and staircases – your own playfully luxe kingdom by the sea. 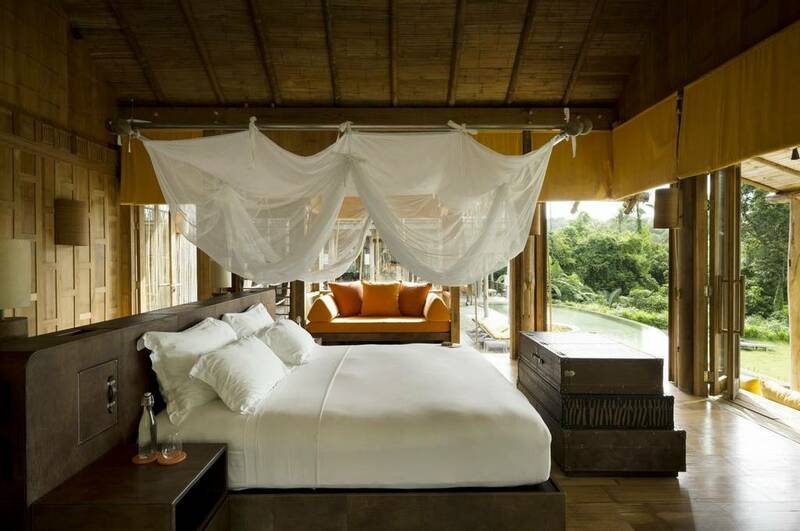 Awaken in the luxurious master bedroom suite. 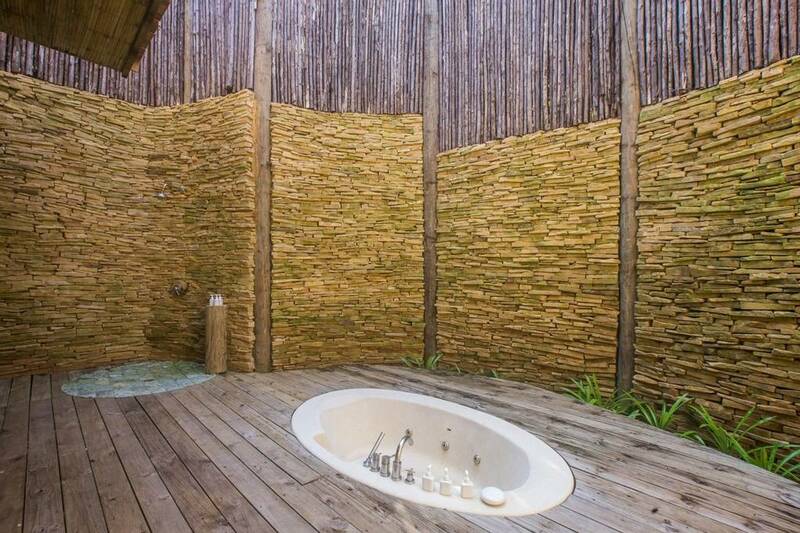 Proceed through your private dressing area to a glorious open-air bathroom. 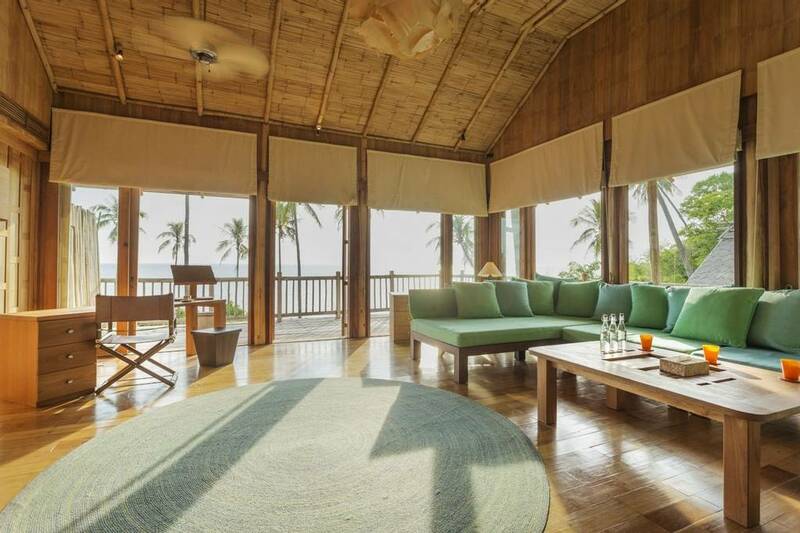 Promenade to the spiral staircase behind your retreat’s second bedroom pavilion and descend to the dining area for a breakfast in the intimacy of the retreat. 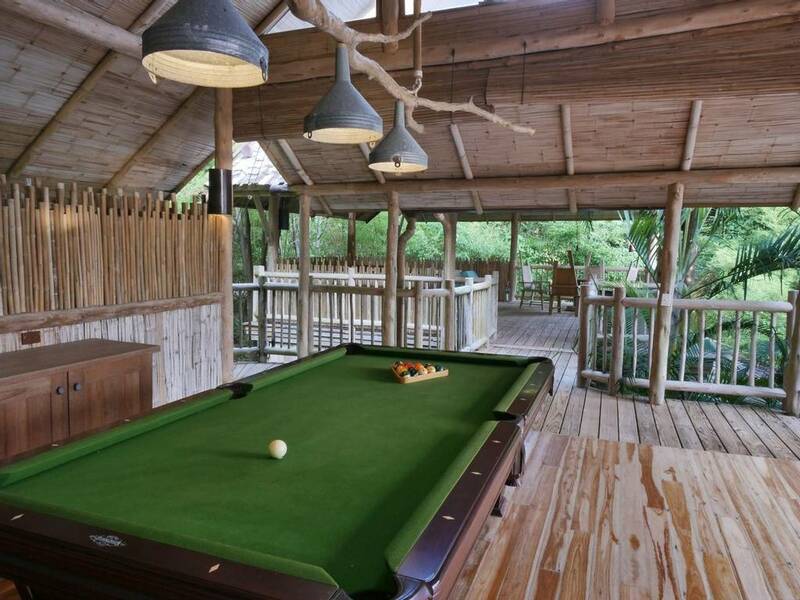 Continue onwards to the entertainment pavilion and kick back with a leisurely game or two, or perhaps dip into your half-moon pool. 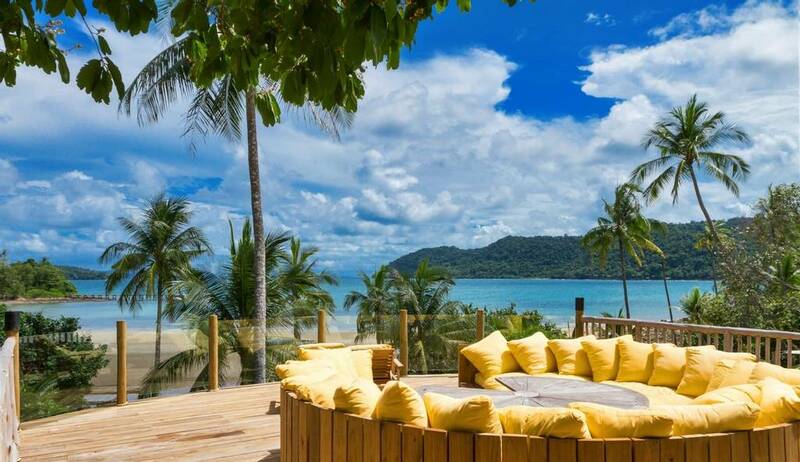 This 3-bedroom Private Beach Pool Reserve has been created to fulfill the fantasies of what a Thai beachside escape should really be and to cater for all guests’ dreams in the process. 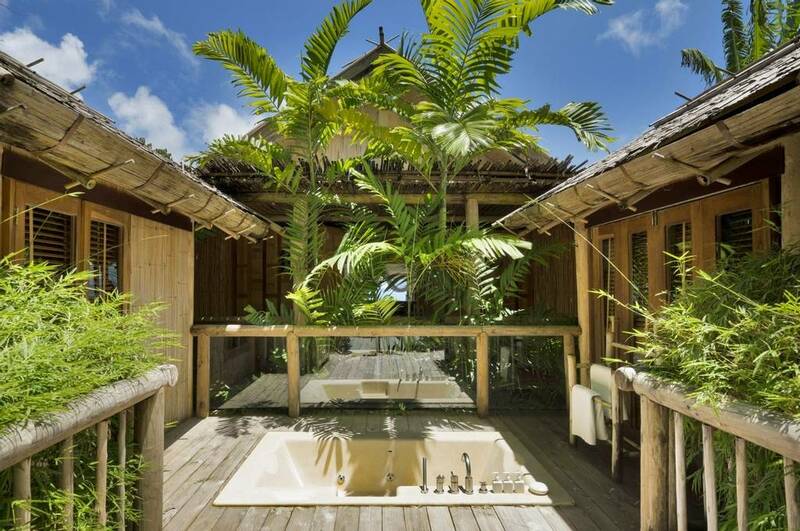 A hideaway filled with whimsy, rustic-chic sustainable design and unabashed indulgences, this luxury Private Beach Pool Reserve is perfect for families, with a large master bedroom, a second bedroom, separate air-conditioned living room with a dining deck under the stars and the “tree house” for children – complete with bunk beds, its own shower, dressing area and a private deck from where the slide goes down in the pool. 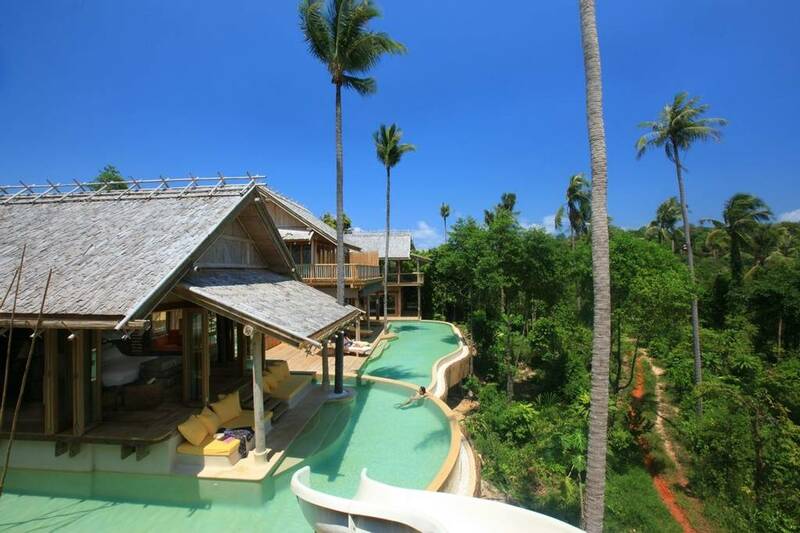 Spacious terraces glide throughout and around the in- and outdoor pavilions and half-moon infinity edge swimming pool. 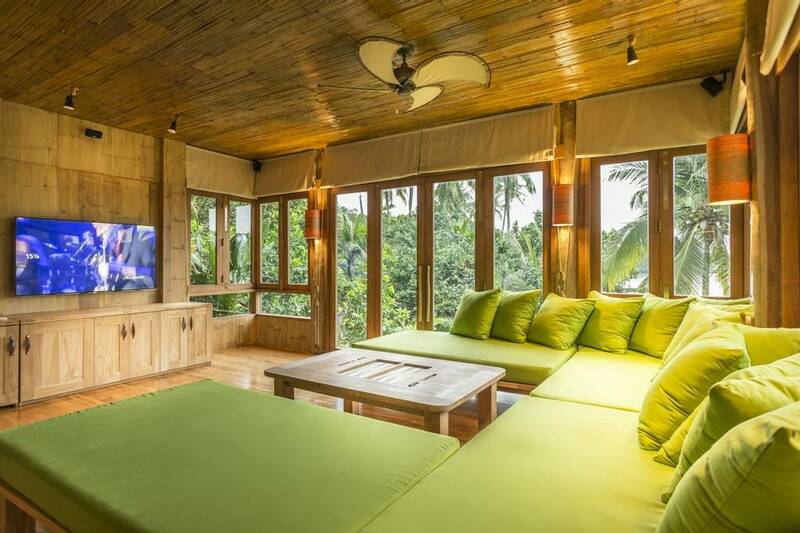 Perched in the dense tree cover of the hills, this 4-bedroom luxury villa is a perfect getaway for families; though a group of friends or even a duo of families travelling together may find it just their cup of (sustainably produced) tea. 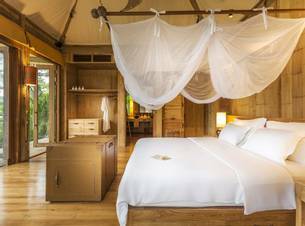 The villa’s rustic-chic escape stretches generously across the island’s tropical hillside in an endless sprawl of pavilions, decks, day beds and sun loungers. 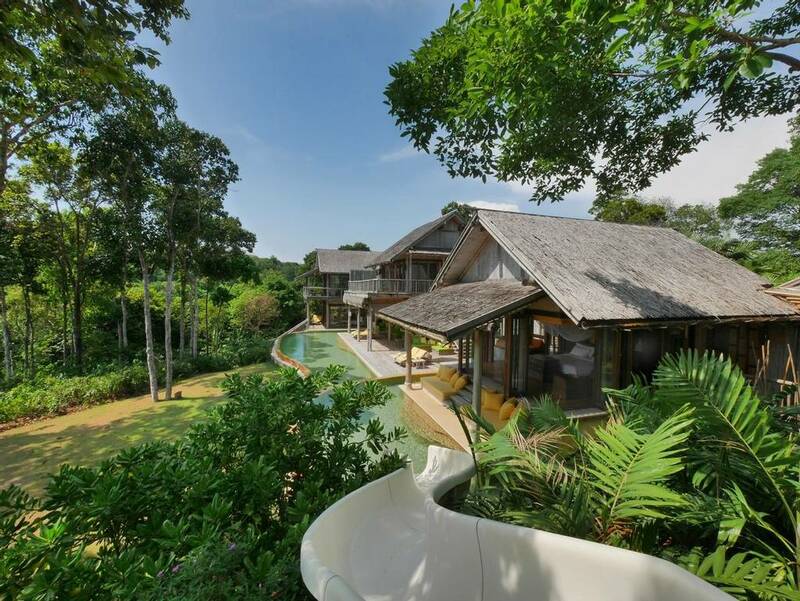 Children will find their new favourite hideaway in the tree house and delight in the surge of riding the snaking slide into the infinite lake of the freeform swimming pool. 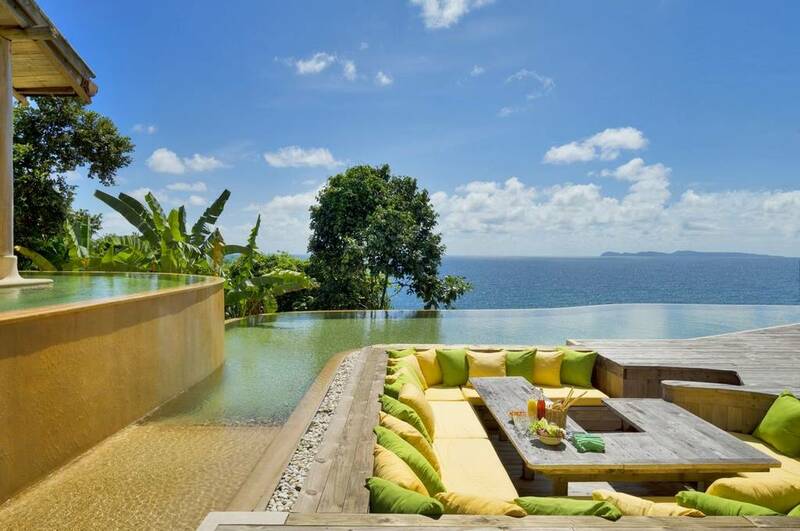 Feast together around the outdoor dining table with wine from your personal cellar. Staring out at the horizon from this island crest, we watched the vast pane of the ocean mirror the sky and breathed in the sight’s exquisite beauty. 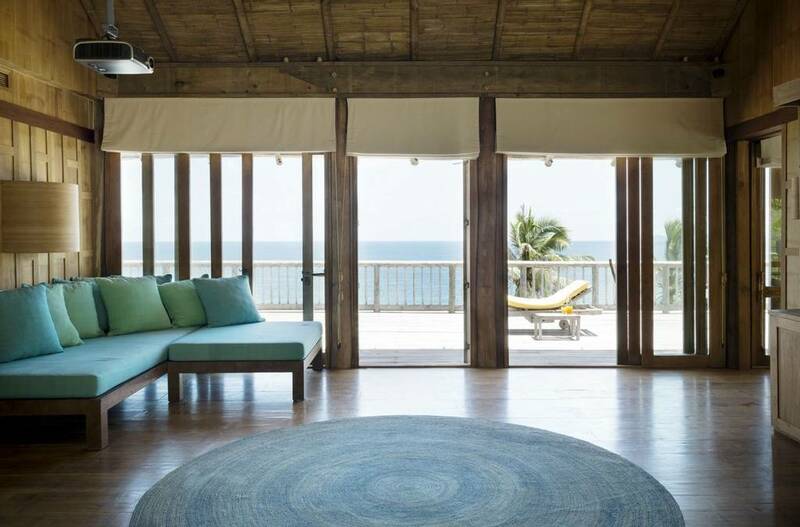 We’ve mirrored the effect in our design of this naturally luxe clifftop roost. 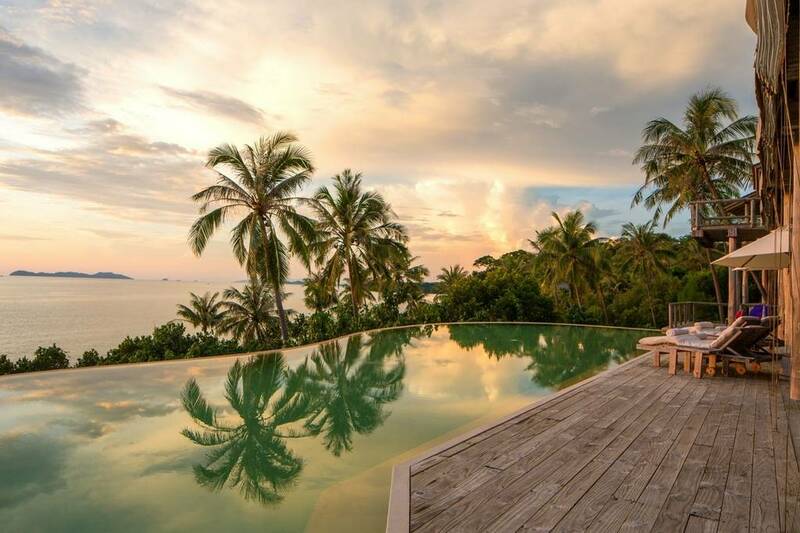 Watch the dancing of palm fronds and slow float of cloud reflections swimming atop the surface of your infinity pool. 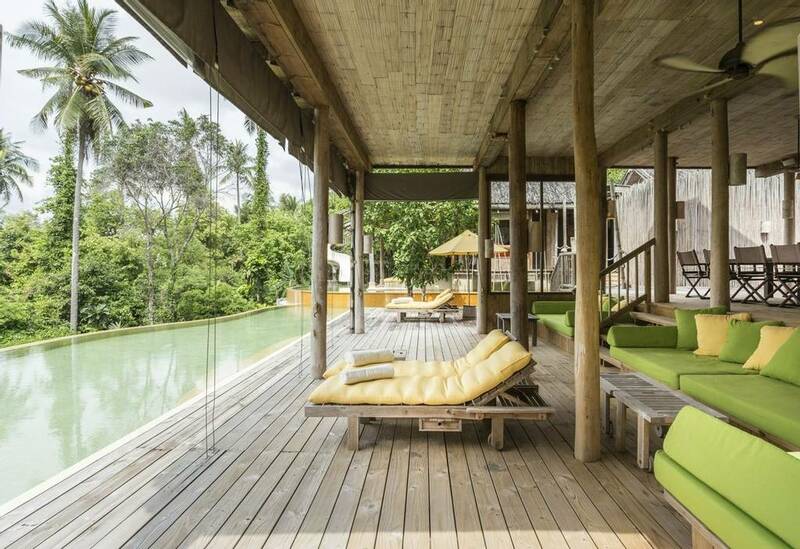 Your gargantuan freeform pool the a centerpiece of the villa. 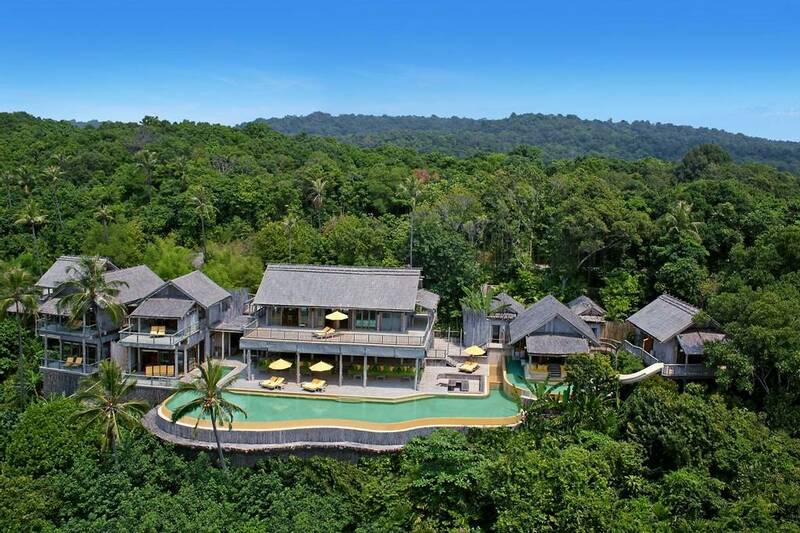 Swim past your collection of tropical pavilions as you make your way from one side of your cliff-perched compound to the other – a very generous stretch perfect for practicing your butterflies or a slow, prolonged watery meander, stopping to take in the view from the edge along the way. 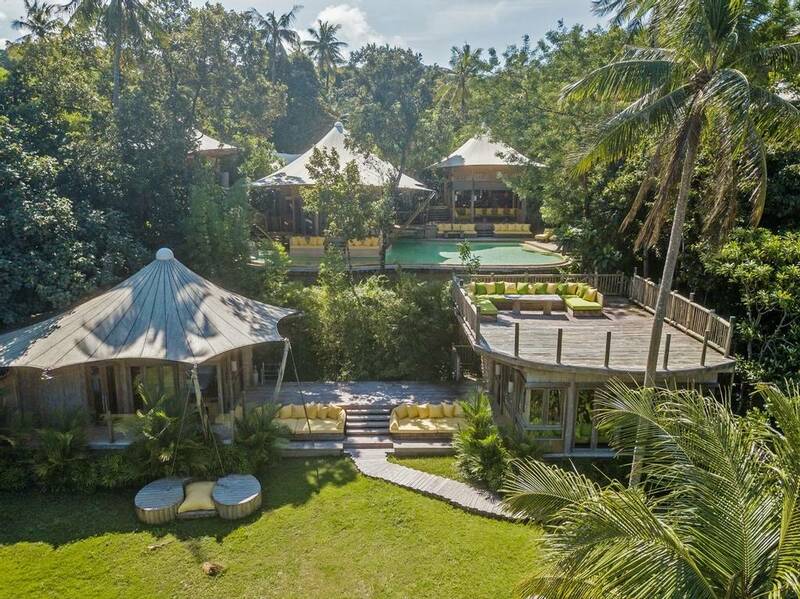 Perched in the dense tree cover of the hills, this 5-bedroom luxury villa is a perfect getaway for families; though a group of friends or even a duo of families travelling together may find it just their cup of (sustainably produced) tea. 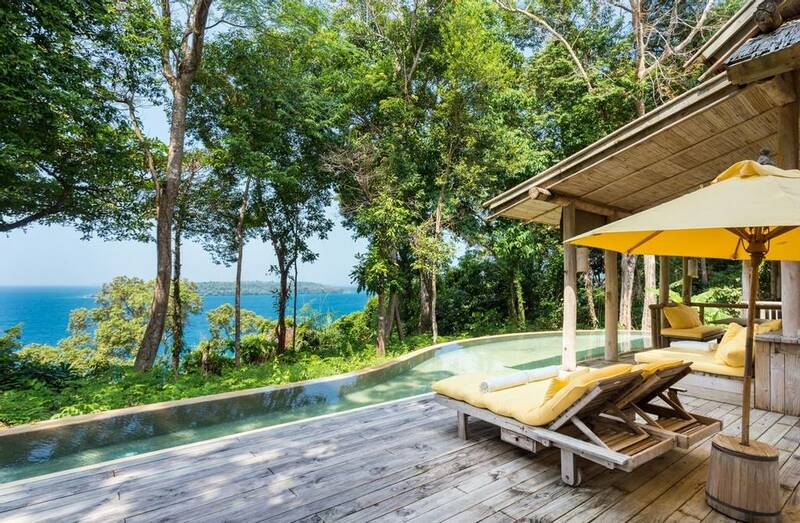 The villa’s rustic-chic escape stretches generously across the island’s tropical hillside in an endless sprawl of pavilions, decks, day beds and sun loungers. 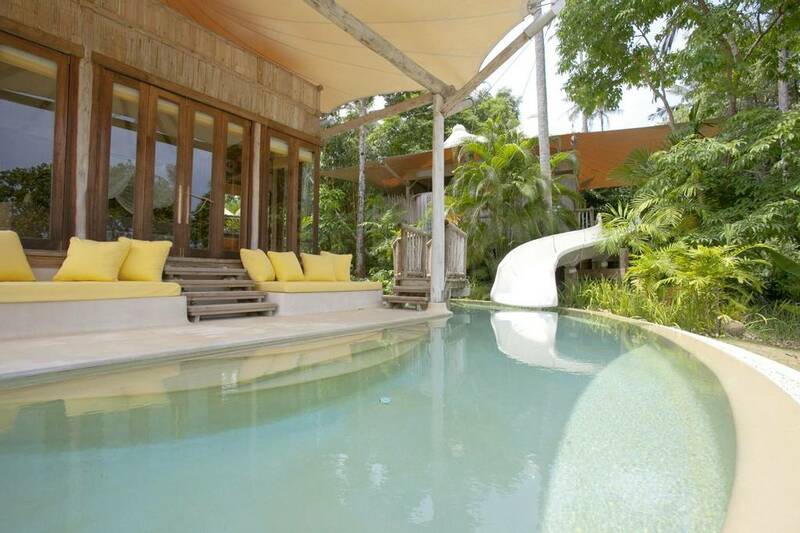 Children will find their new favourite hideaway in the tree house and delight in the surge of riding the snaking slide into the infinite lake of the freeform swimming pool. Feast together around the outdoor dining table with wine from your personal cellar. 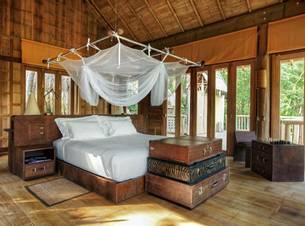 For our three “reserves” at Soneva Kiri Resort, we reserved the most prime locations in their respective habitats. 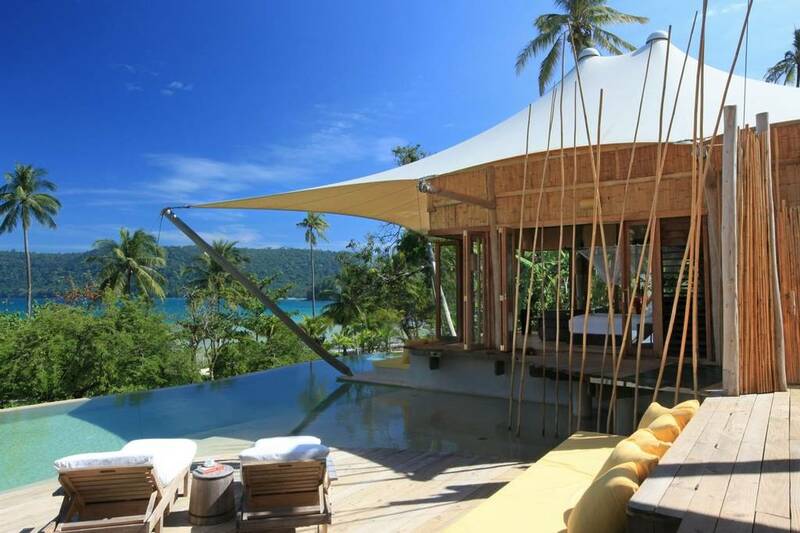 Our Cliff Pool Reserve floats over the most spectacular hillside stretch. 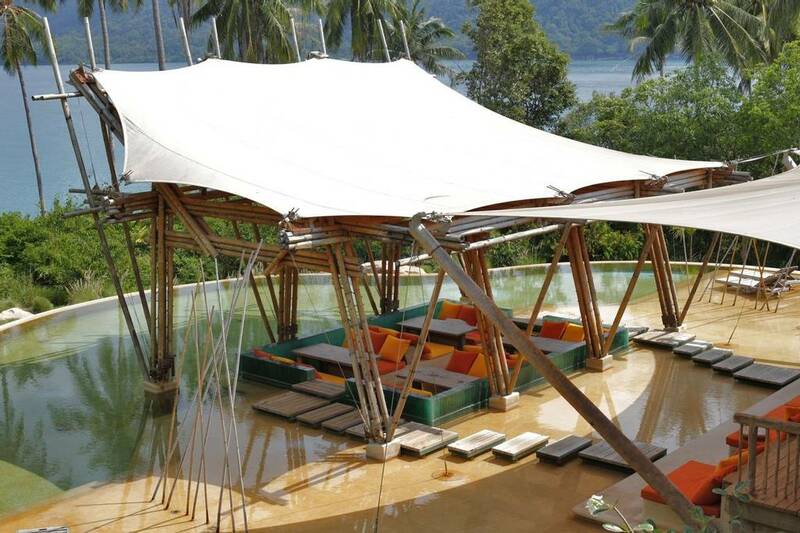 Particularly private and protected, this luxuriously imaginative playground shelters you atop the jungle slopes. 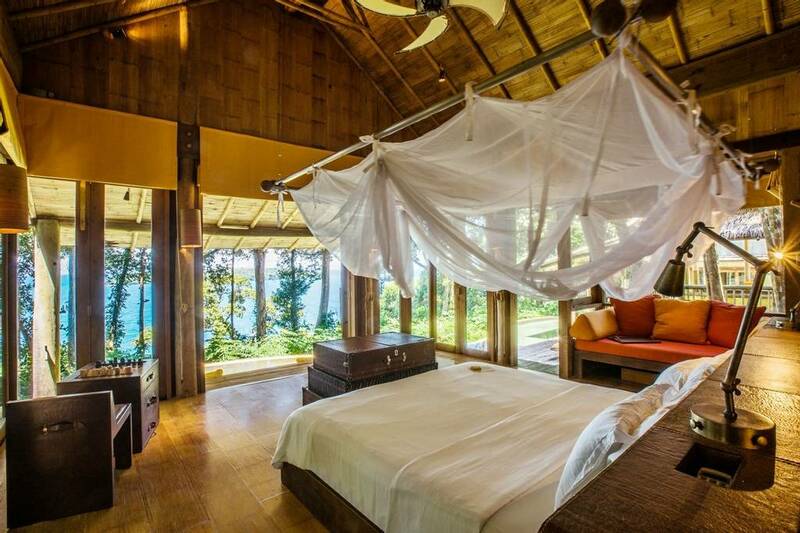 Wake up in the sea-facing master bedroom or perhaps even the whimsically inspired tree house. We created it for children, but many adults can’t resist its allure – even if only for a night or ride down the waterslide to the pool. 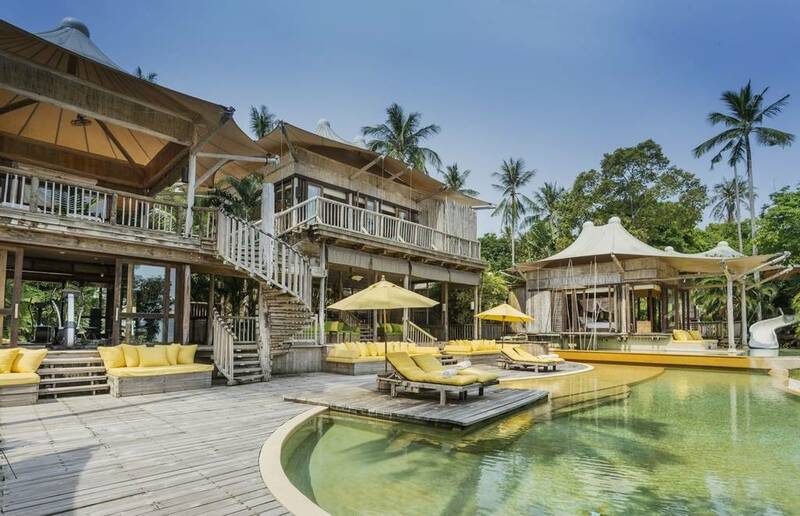 We knew our finest “castle in the sand” deserved to be sculpted on Soneva Kiri’s most desirable beachside real estate. 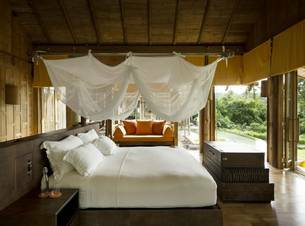 Secluded away in an exceptionally private and peaceful spot, our Private Beach Pool Reserve towers over the sea, is embraced by jungle, enjoys a serene atmosphere away from the buzz of the resort, but is only a short 5-minute electric buggy ride away from all the rustic-luxe facilities at your command.The master bedroom and three additional bedrooms all feature luxury outdoor bathrooms so you can soak in the starlight or shower by the sun’s rays with a refreshing waterfall. 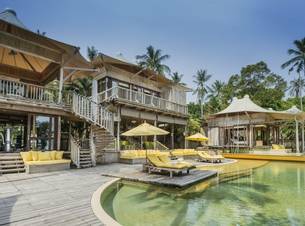 The fifth bedroom is the most playful of them all – a tree house with child-cheering bunk beds and a slide snaking its way down to the sprawling freeform swimming pool, a veritable sea in itself. Gazing at the sea from atop the jungle-covered cliffs, this spot called out to us for a particularly magical reserve. 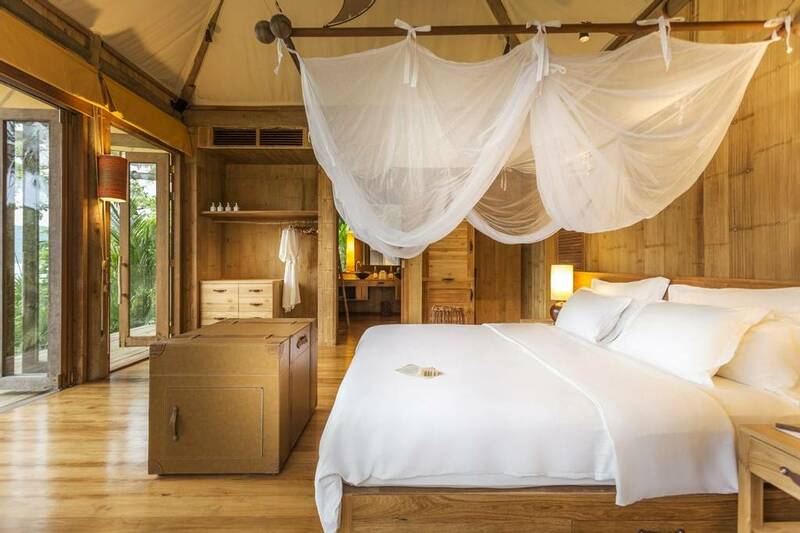 Hidden in the privacy of the trees, you can snuggle in the sea-facing luxury master bedroom or bathe and shower by starlight in open-air bathrooms tucked throughout. 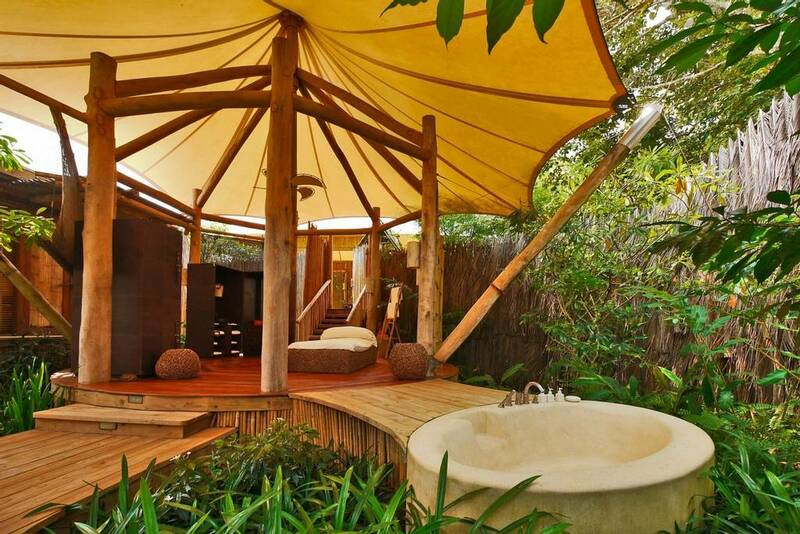 Find your own personal favourite spot in this sustainable escape that stretches seemingly endlessly over the hilltop. 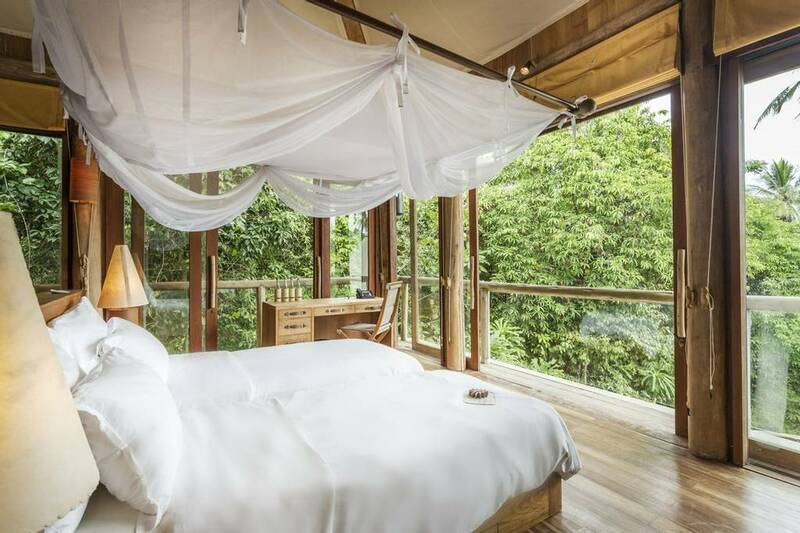 The tree house is a dream for children, their own realm in the jungle canopy. 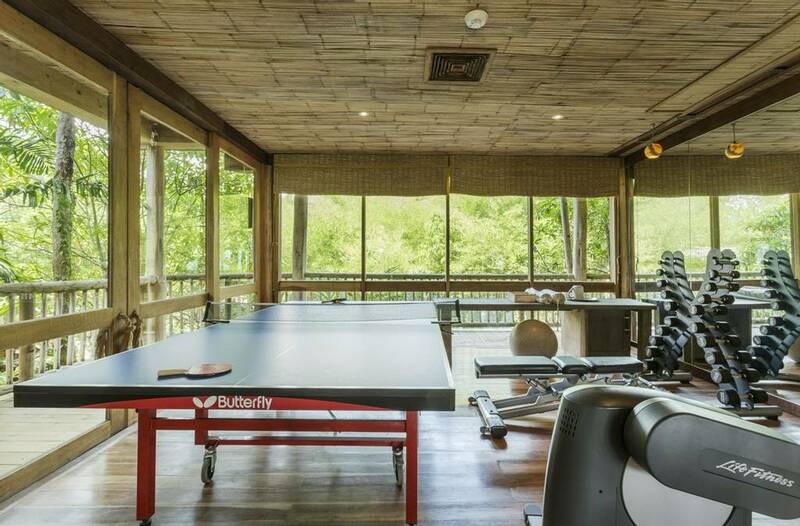 Other potential top spots: the gargantuan swimming pool with its own water slide, the private gym, steam room, game room, outdoor dining table or sunk into the oversized cushions of an enormous day bed overlooking the water. 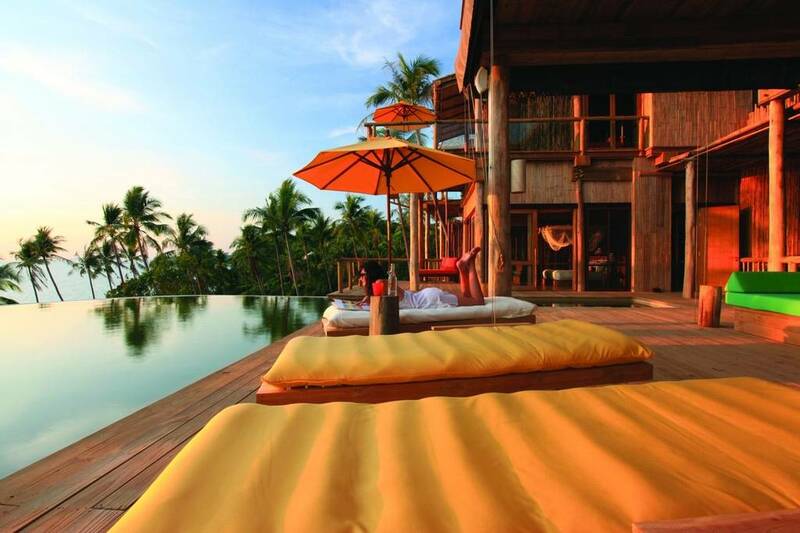 Wonderful spot to unwind. 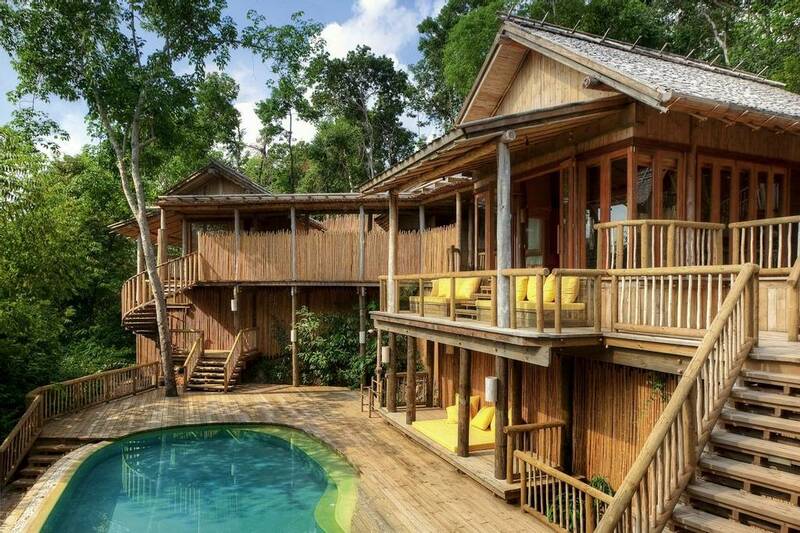 The nature is beautiful and truly preserved. 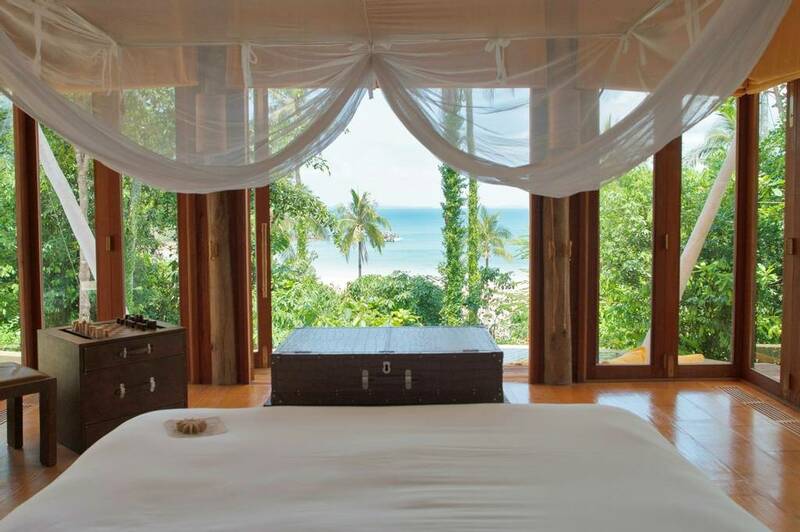 We stayed in a bay view villa so it had direct access to the sea which was lovely. 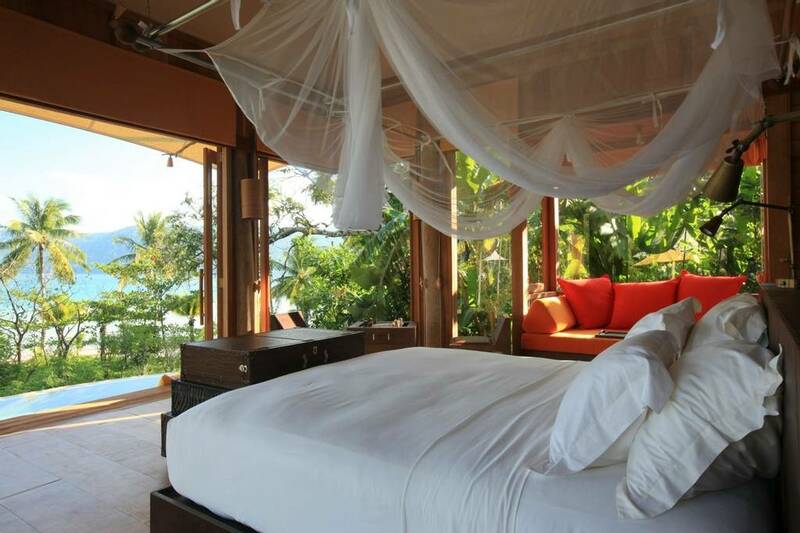 The pool is amazing, partly going around the bedroom. 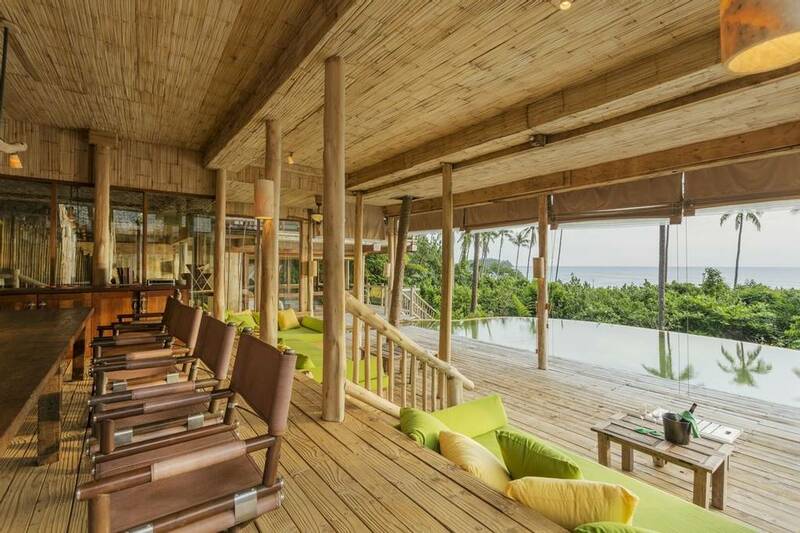 We particularly loved the outdoor living area, that offered so many places to relax in confortable seclusion. The food at Benz is amazing, particularly the crab!! 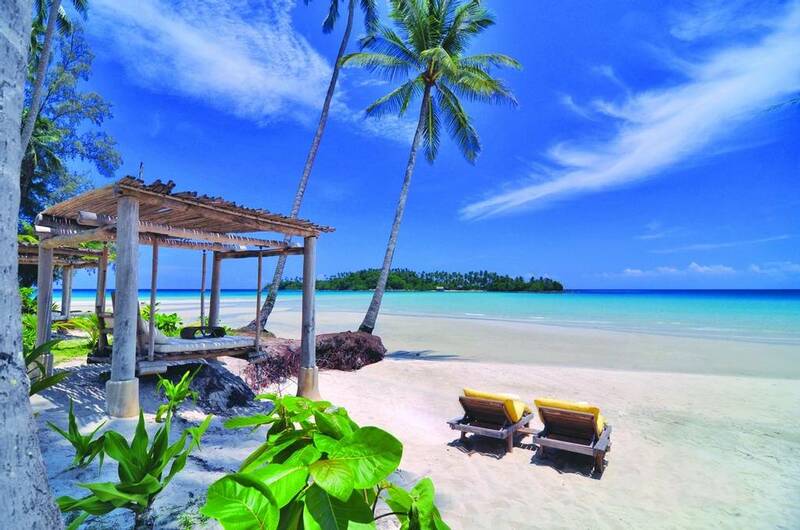 If you go there, take the boat, its a fun experience. They also have the best ice cream parlour. I have never seen something like that anywhere. We were only there for 3 nights so didn't manage to try all flavour, lots unusual ones. 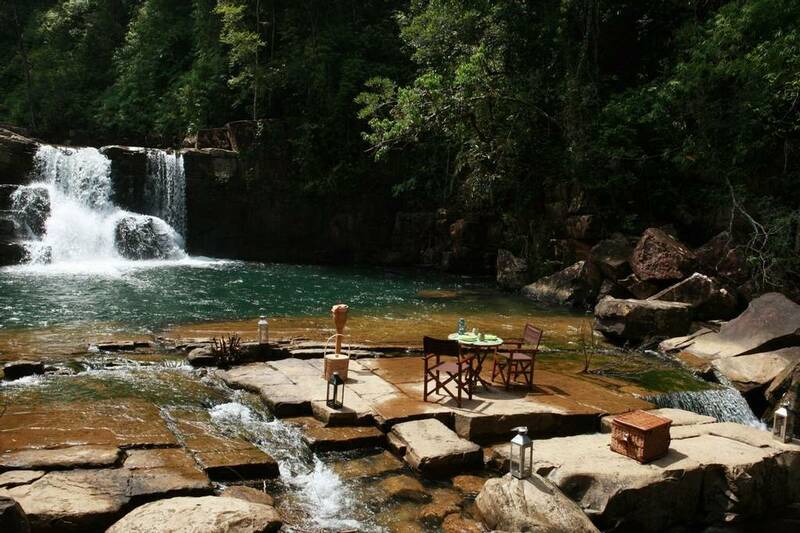 One of the excursions is to swim to one of the waterfalls on the island. 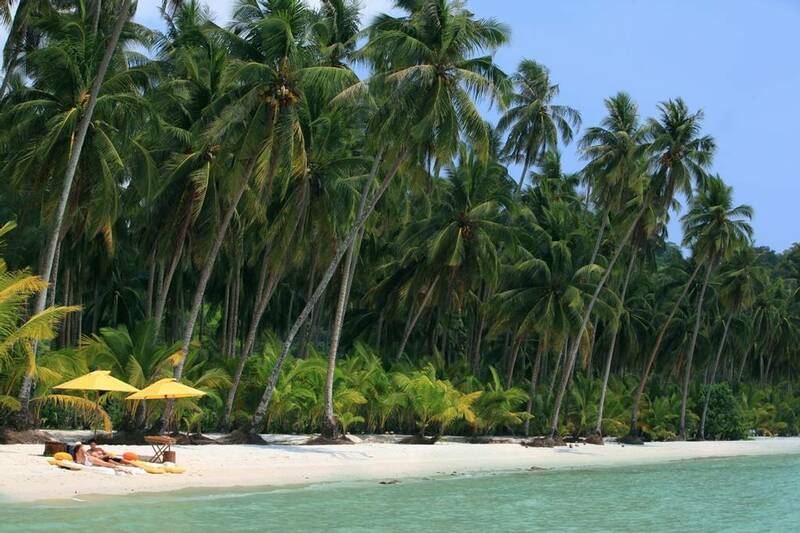 Well worth it if you feel like leaving the resort for a few hours. 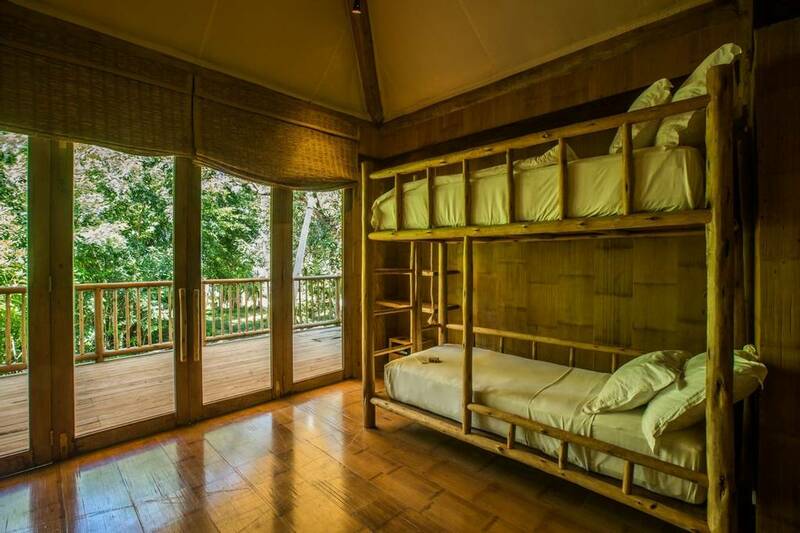 Visited Soneva Kiri with my family include 3 little kids. A coordinator called "Ms. Friday" took care of our needs. 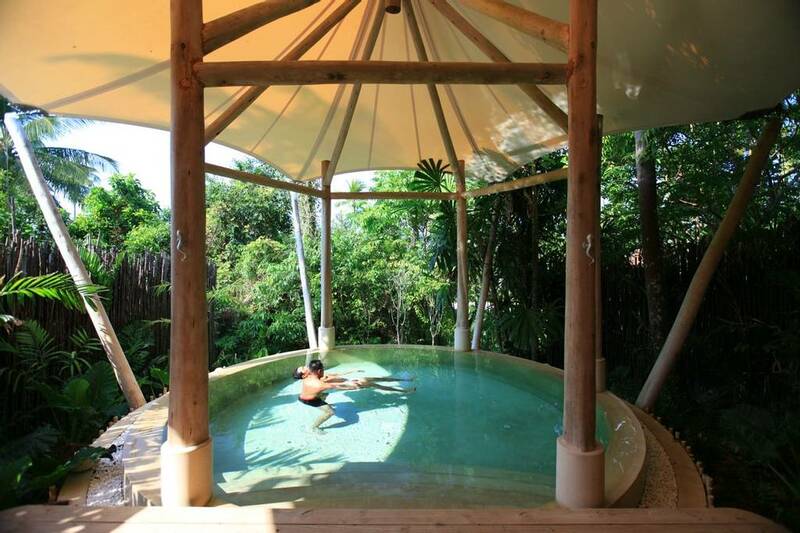 One of this resort's concept is "slow life", and I just want to say what a wonderful way of spending time it is ! 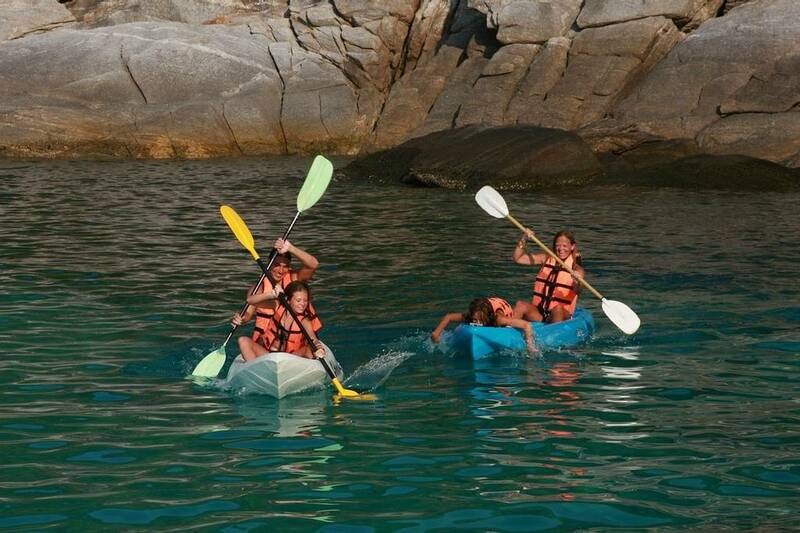 Because of the kids, we could not join any exciting adventures though, all of us had such a wonderful and enjoyable time. 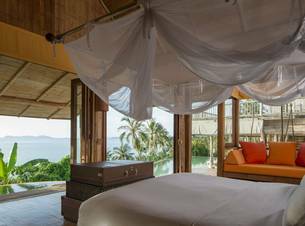 Located on the idyllic island of Koh Kood amidst stunning tropical surroundings, Soneva Kiri assures to offer you an ideal back-to-nature wellness break. 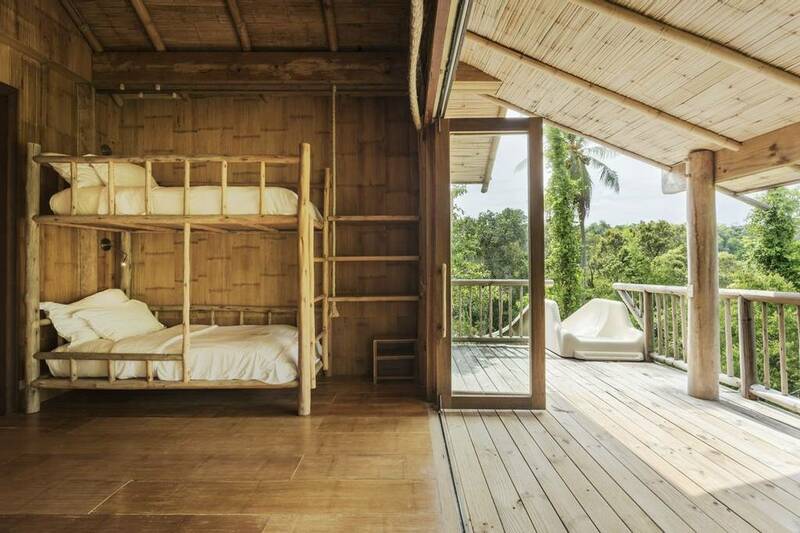 The approach to wellness followed aims to instil life-long healthy habits, the retreat describes their approach with the acronym Slow Life which stands for; Sustainable Local Organic Wellness Learning Inspiring Fun Experiences. 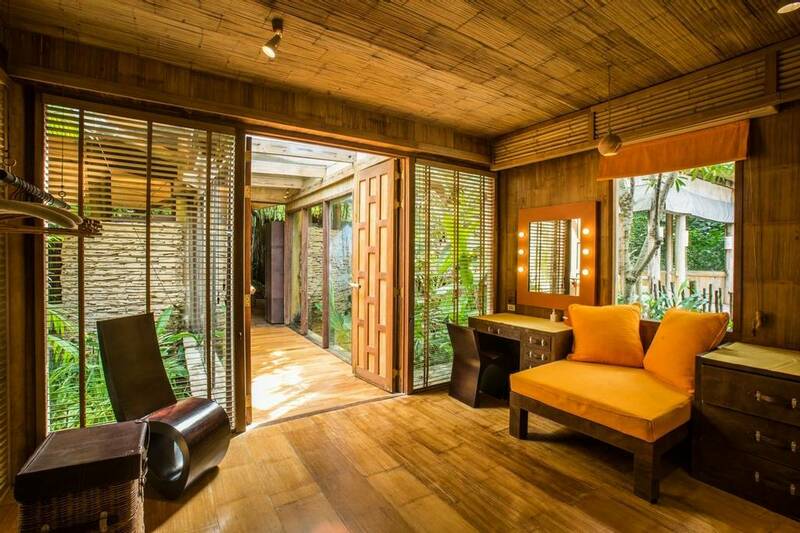 The tranquil ambience will encourage you to attend group sessions in yoga, tai chi or Himalayan singing bowl to leave your mind calm and de-stressed. 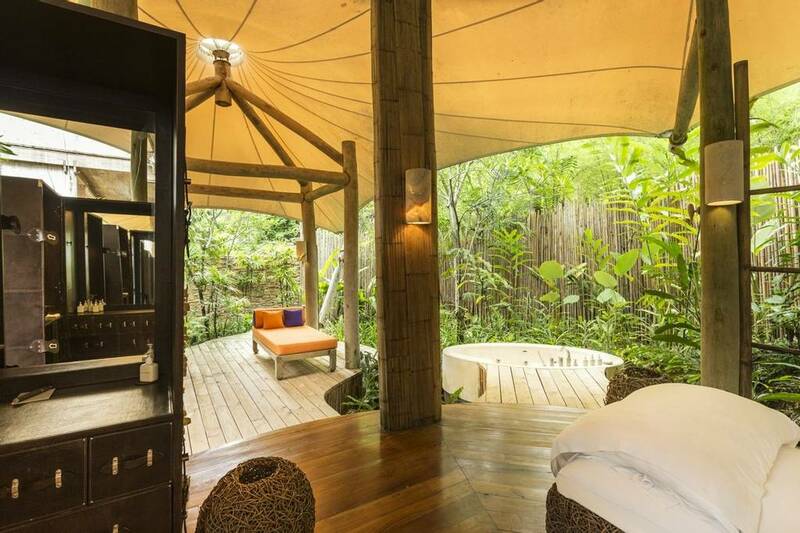 Nestled between lush vegetation, the Six Senses Spa with its peaceful ambience offers a range of immersive rituals. 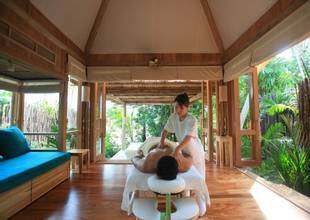 Indulge in locally inspired Thai healing therapies including various massages, scrubs and facials. 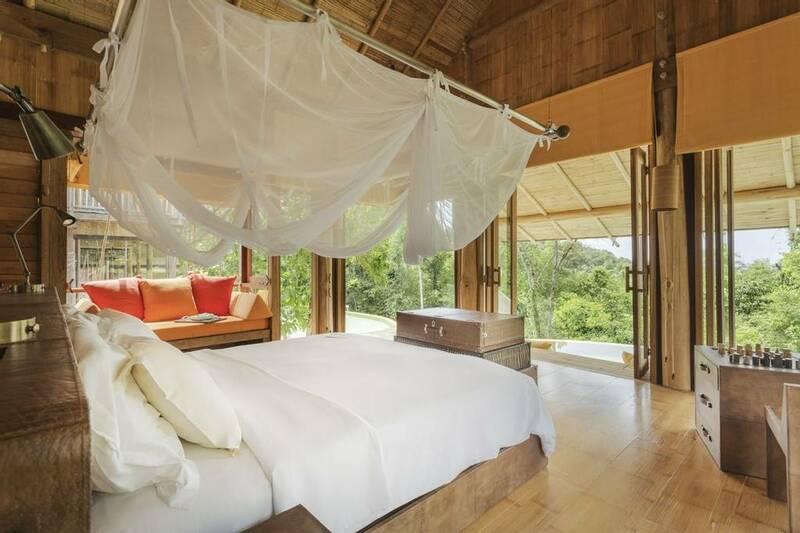 Keeping with the retreats approach to sustainable living, each villa is constructed using eco-friendly materials. 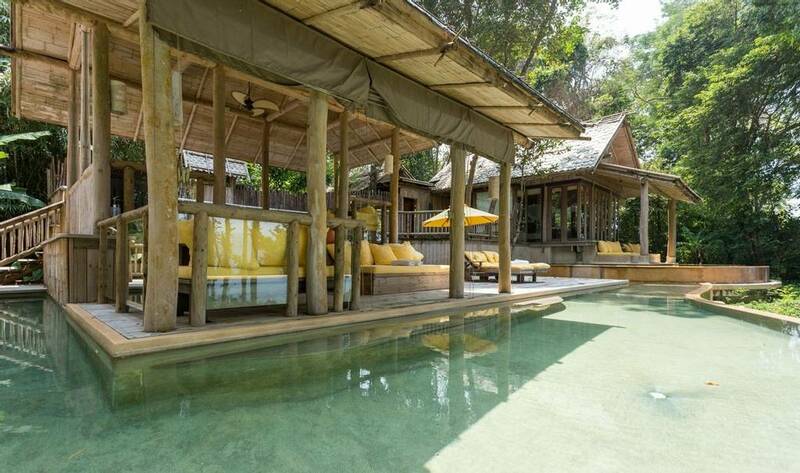 Every villa offers a free foam swimming pool, a personal butler and a host of other irresistible amenities. 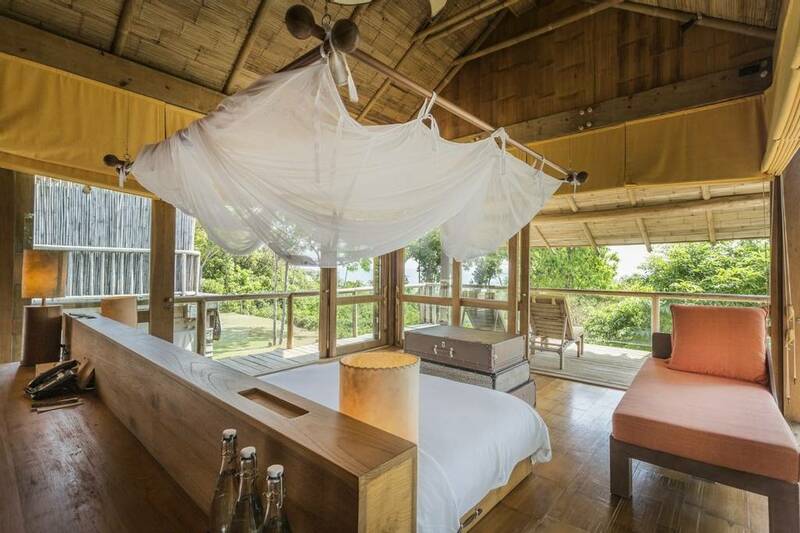 Apart from its wide range of facilities, Soneva Kiri offers a range of exciting activities. 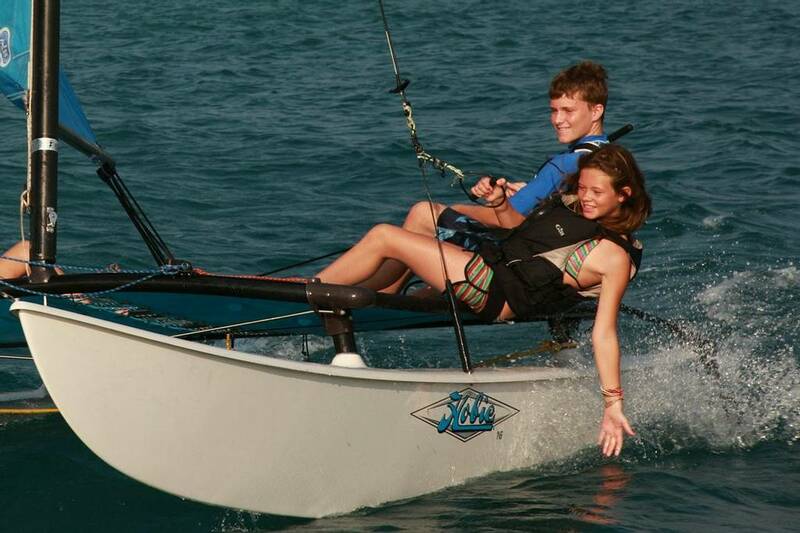 Spend your free time sailing along the azure waters on a catamaran or choose to attend a wine or chocolate tasting session. 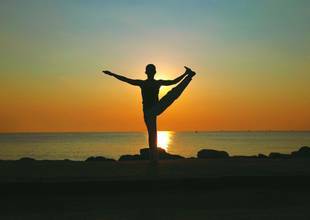 The well-experienced staff at this wellness heaven are warm and friendly, promising to make your stay comfortable and enjoyable. 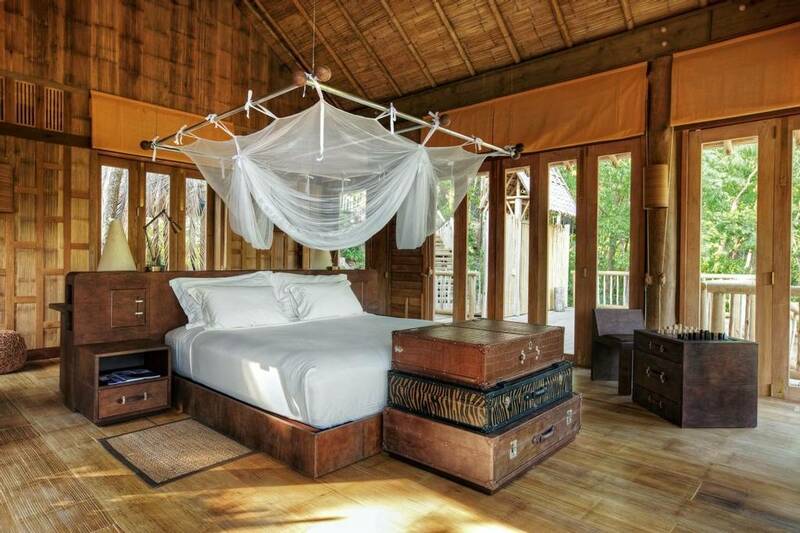 Each dining experience at Soneva Kiri ensures you of a memorable culinary experience. Visit the Dining Room for local Thai fare or choose to visit Ben’s for its extensive nine course meal. 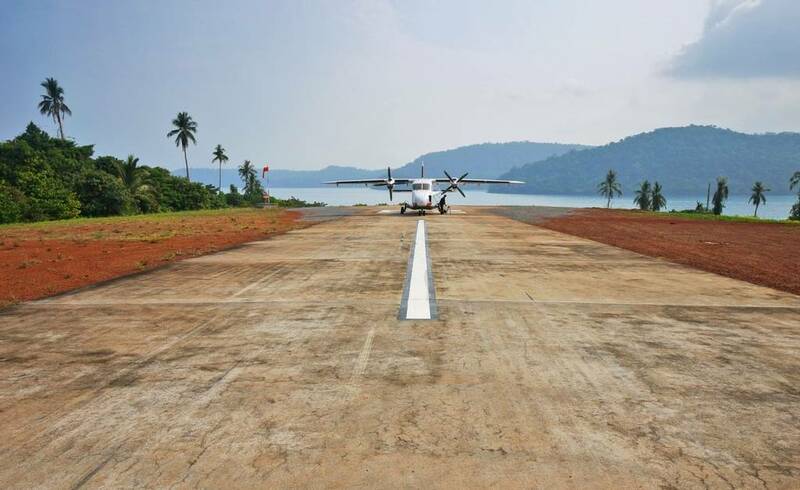 Guests can reach the property only by boat or via an aeroplane. The retreat needs to be informed about the scheduled arrival time well in advance to arrange for transfers. 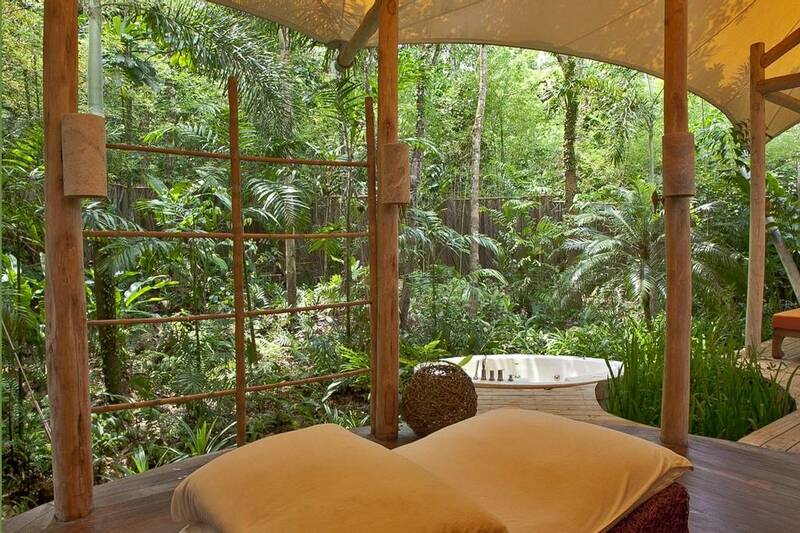 To avoid disappointment the retreat suggests you book additional spa services in advance.